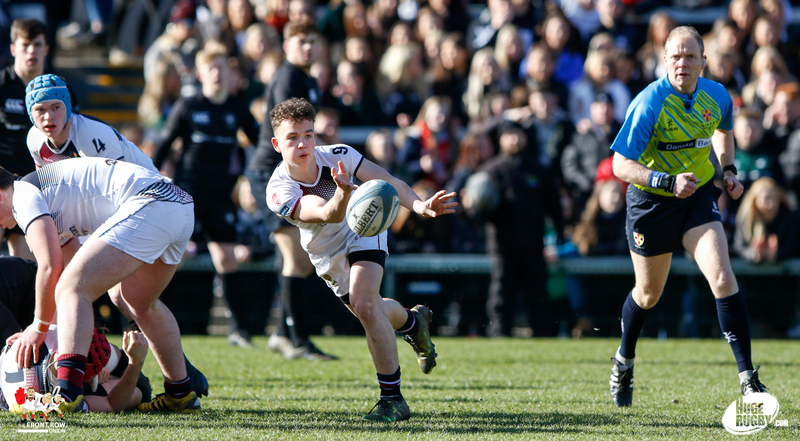 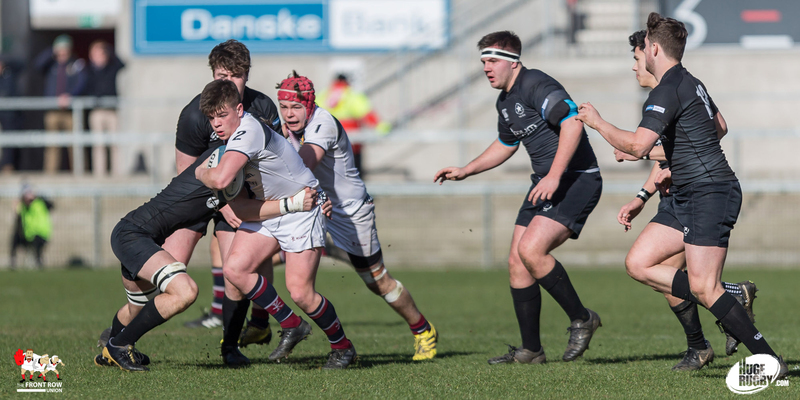 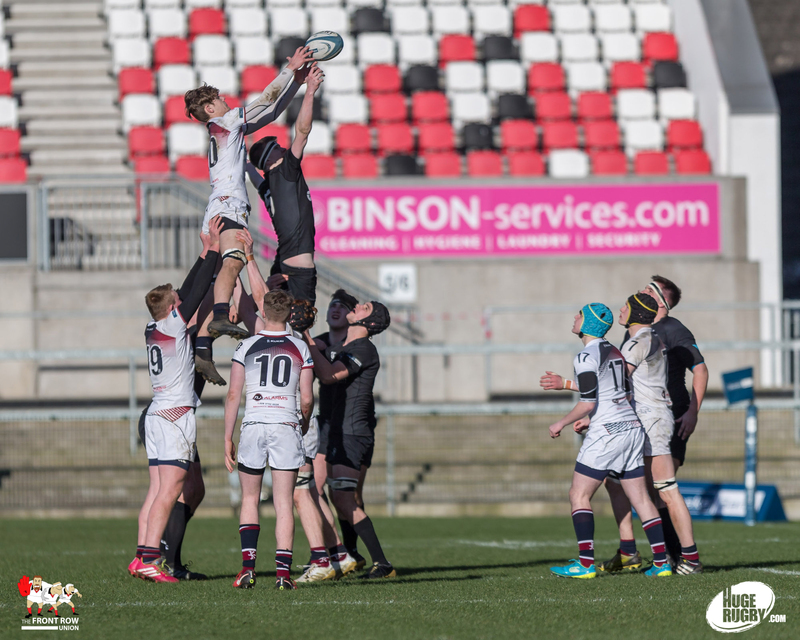 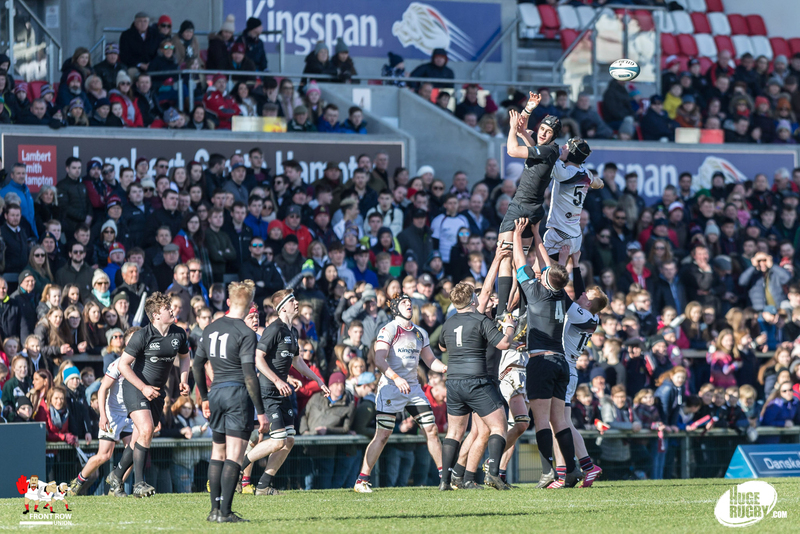 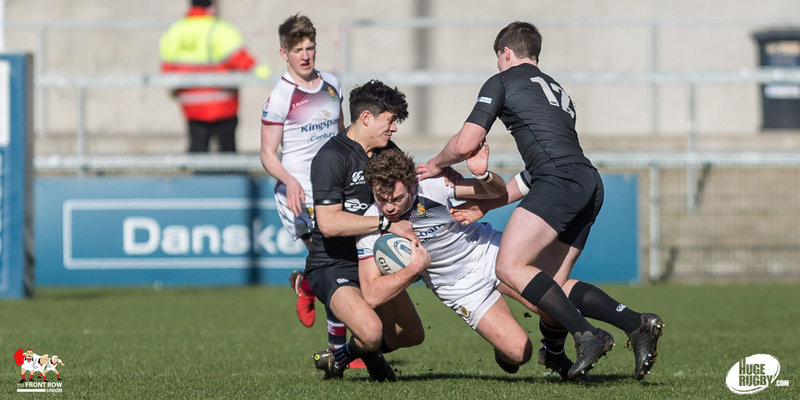 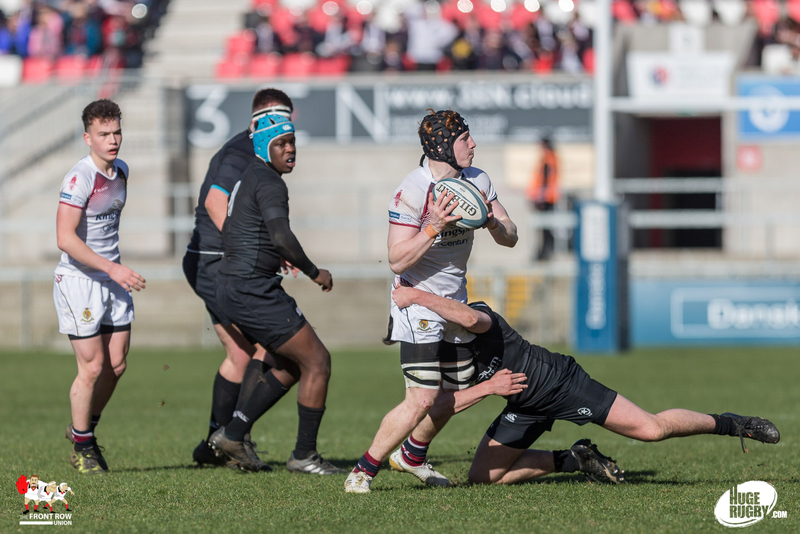 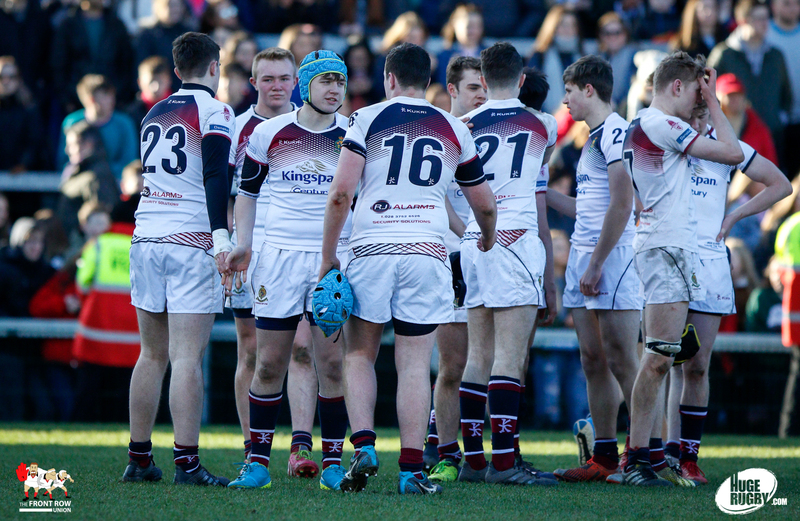 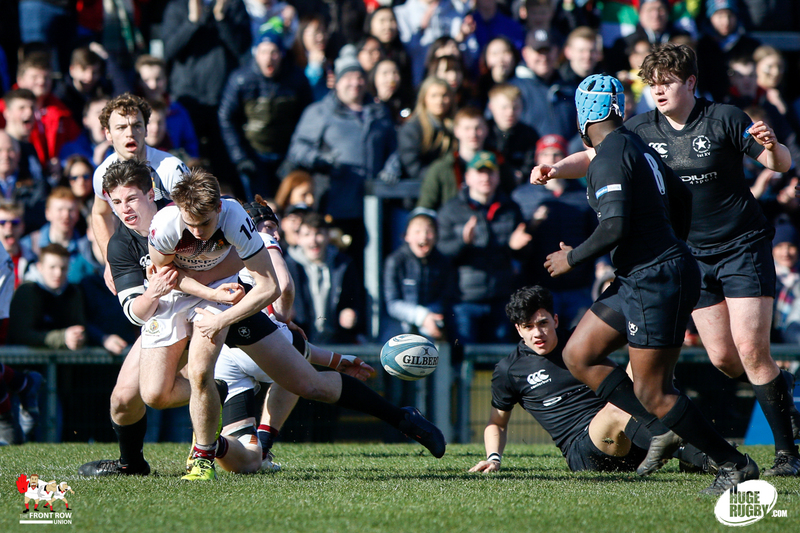 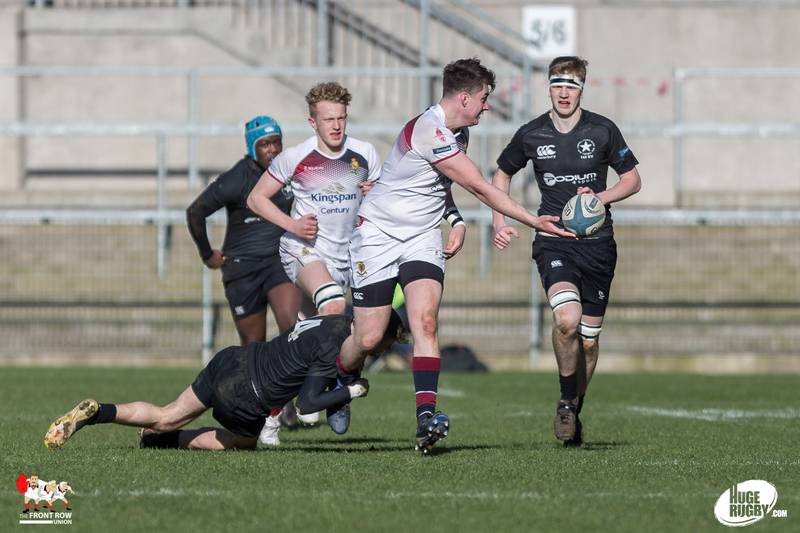 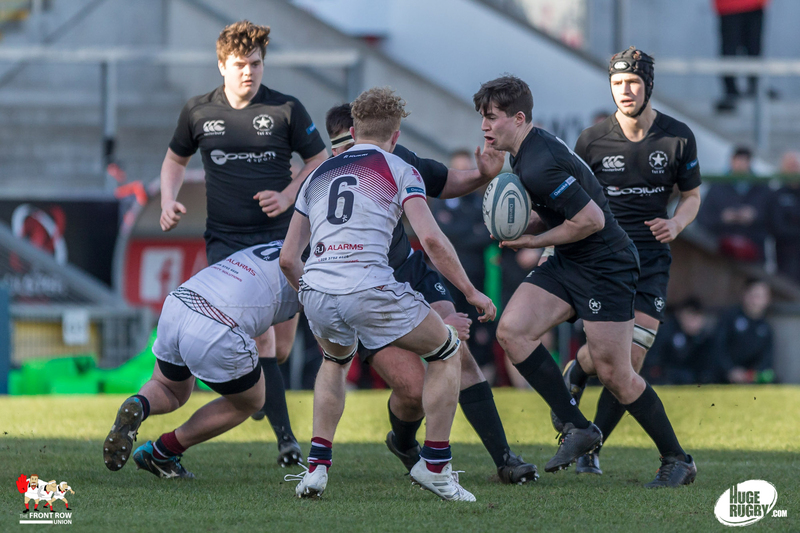 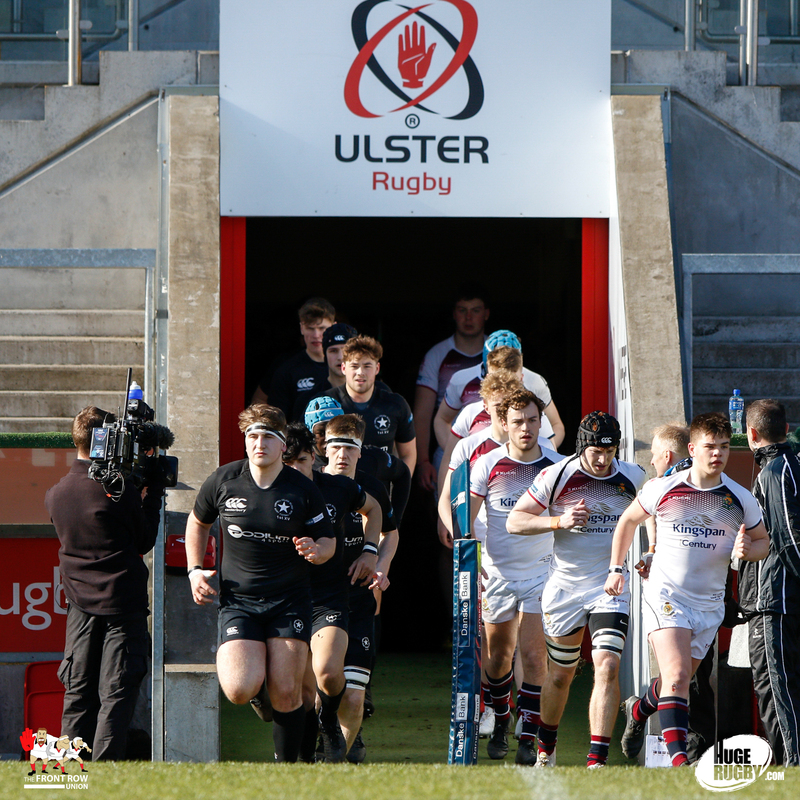 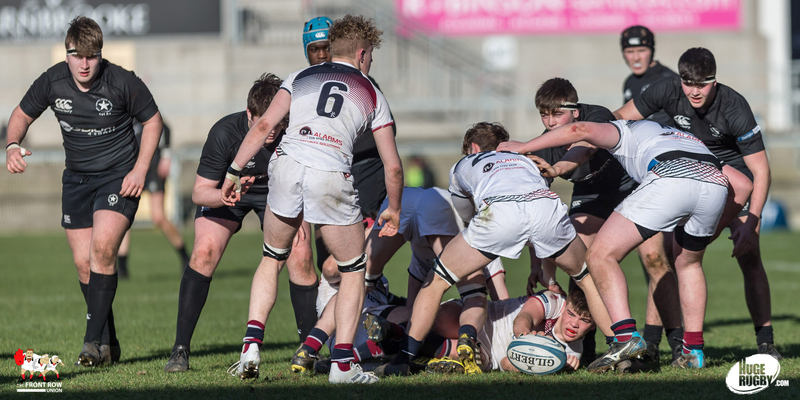 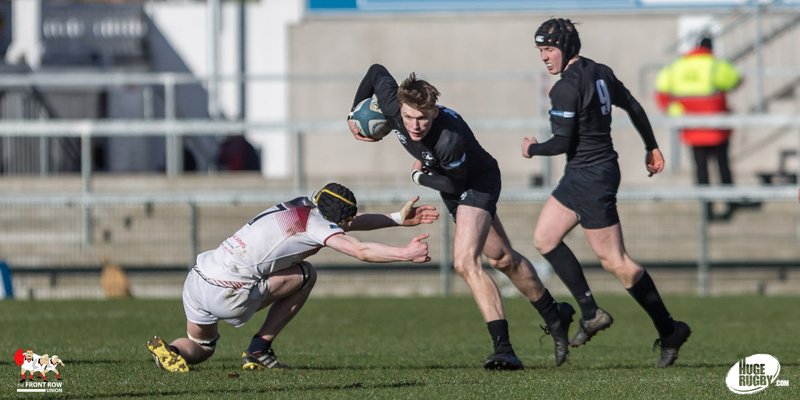 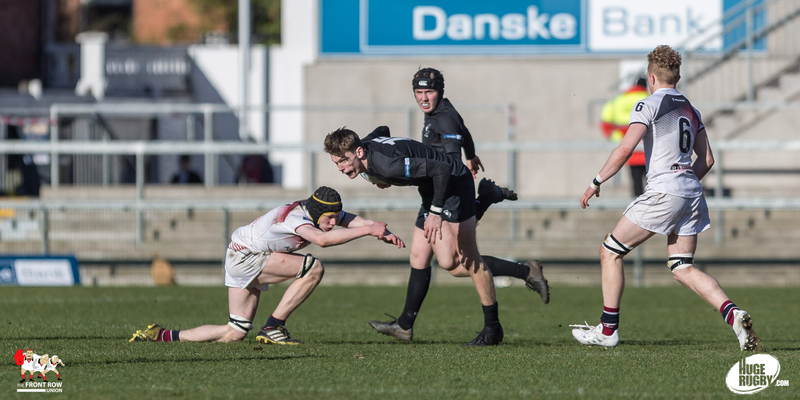 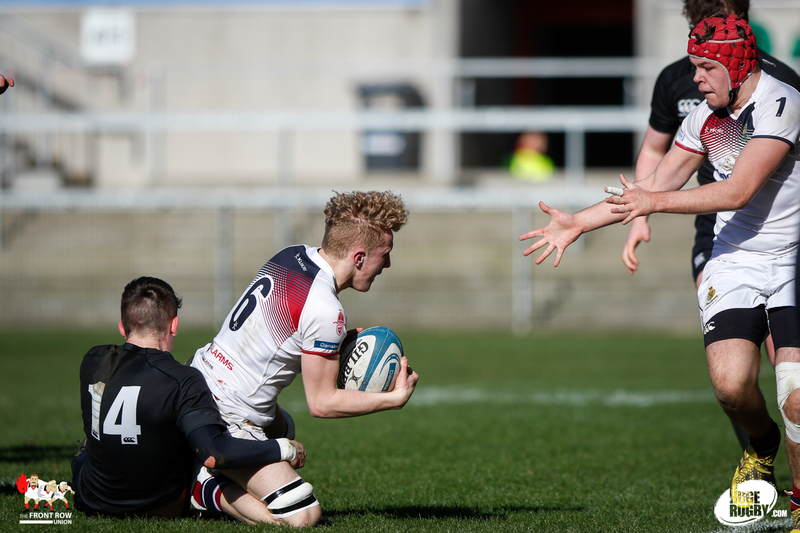 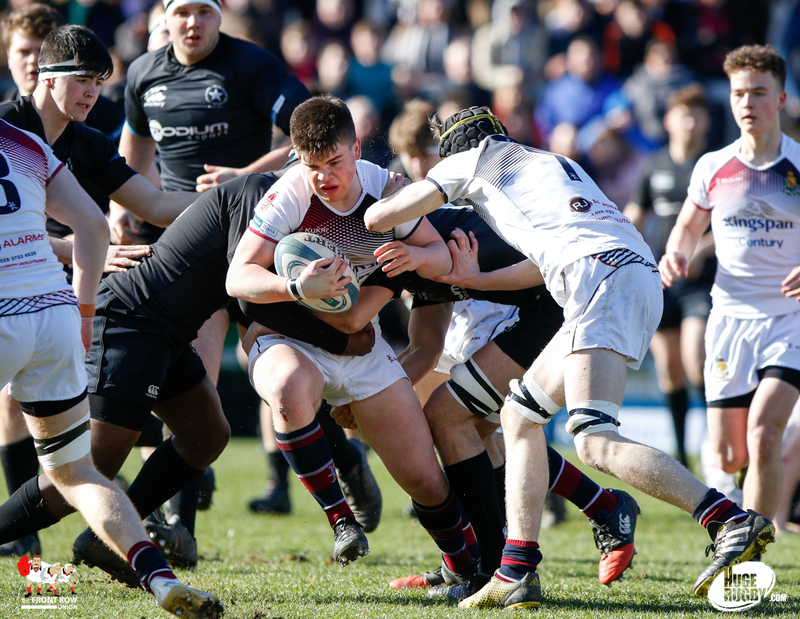 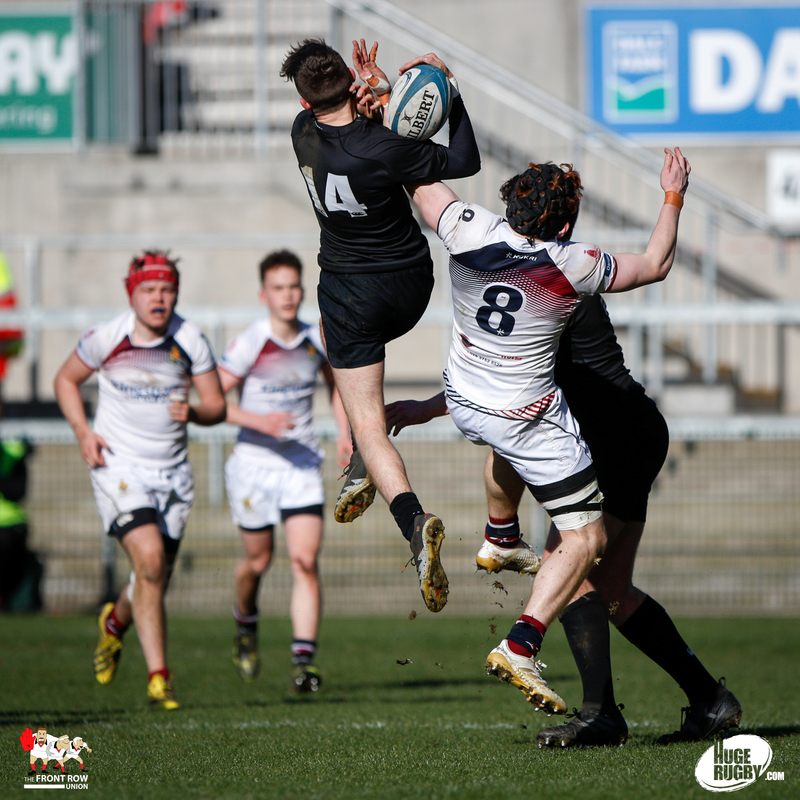 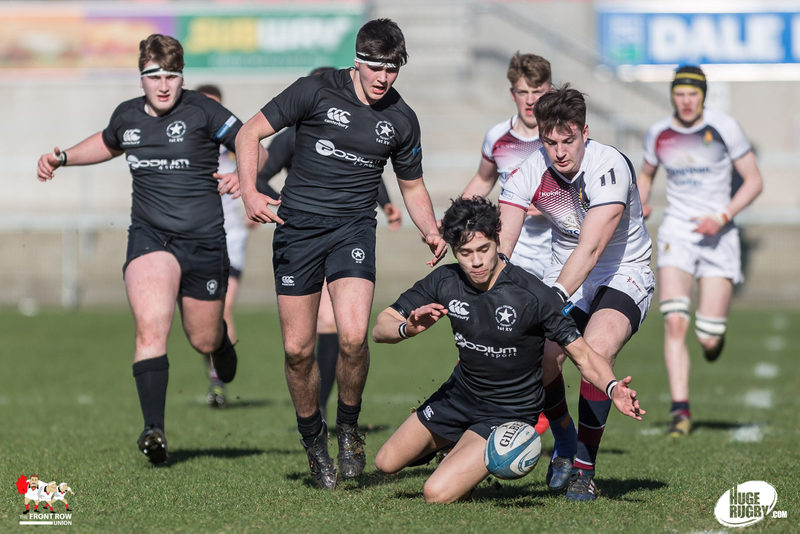 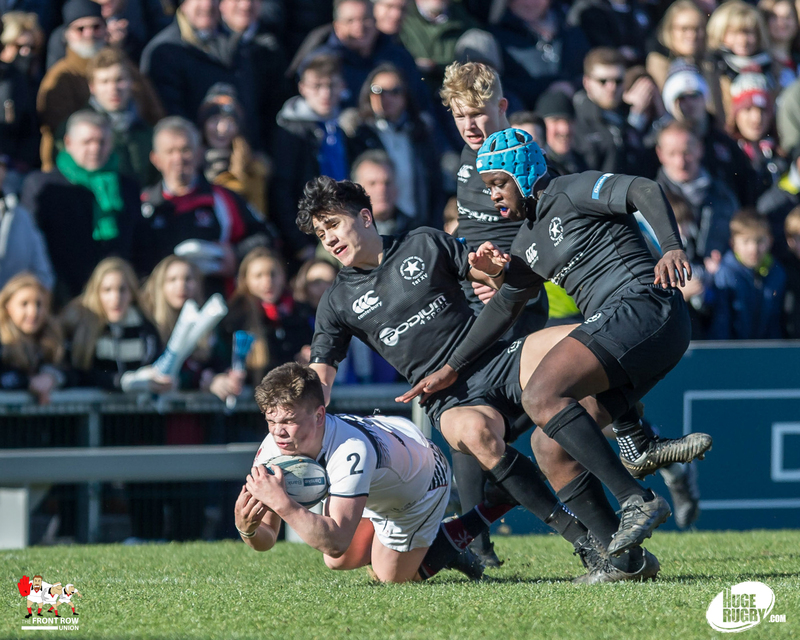 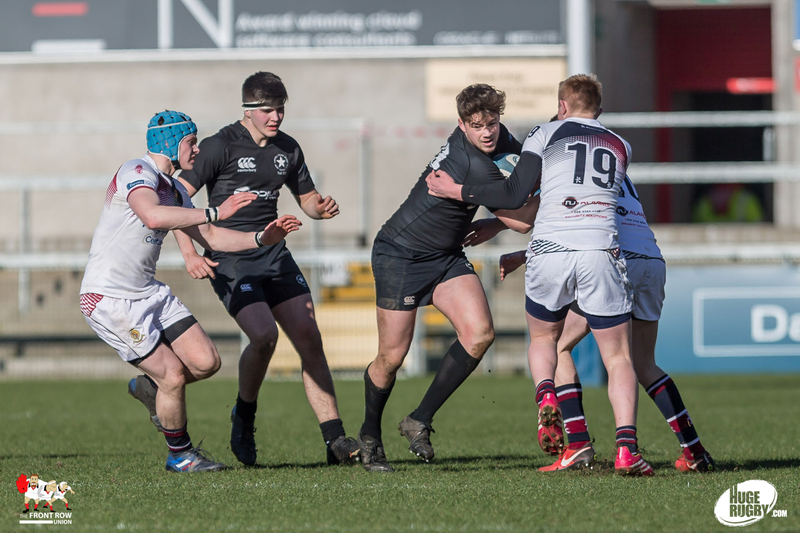 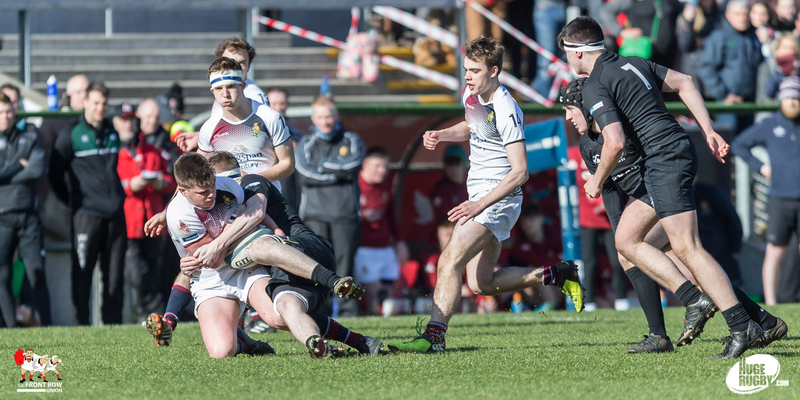 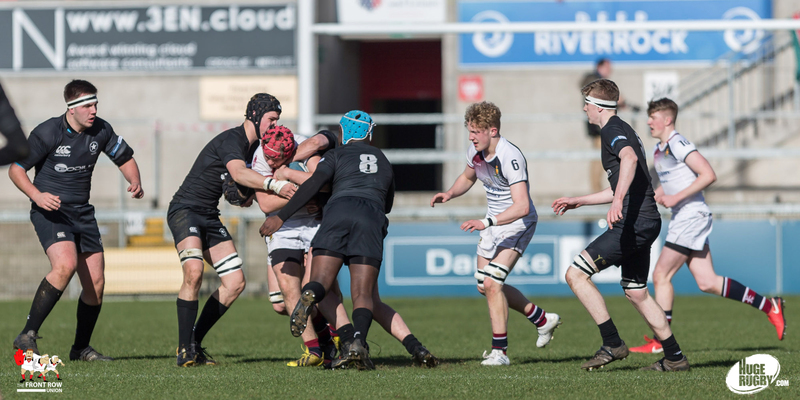 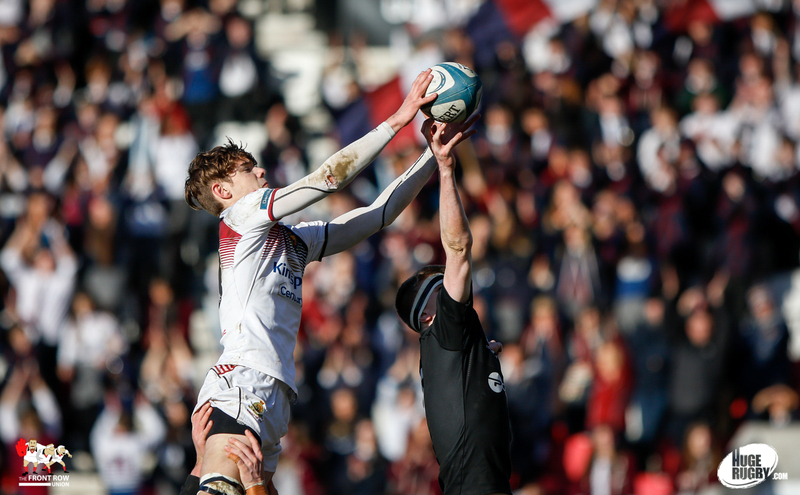 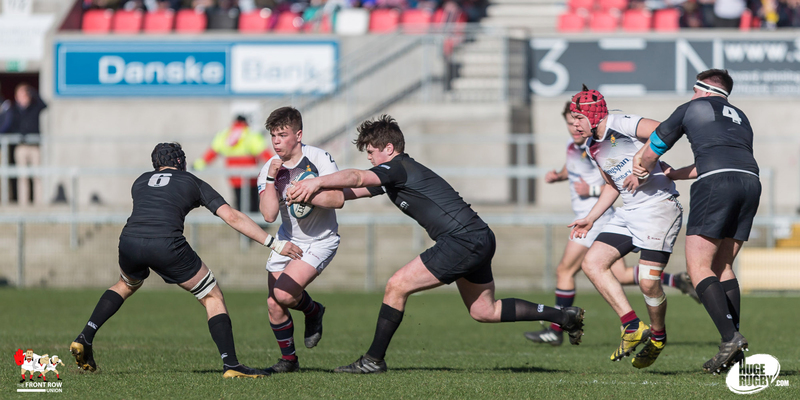 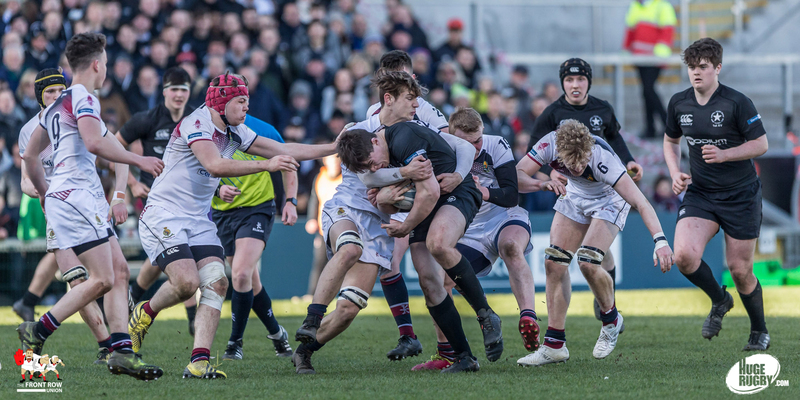 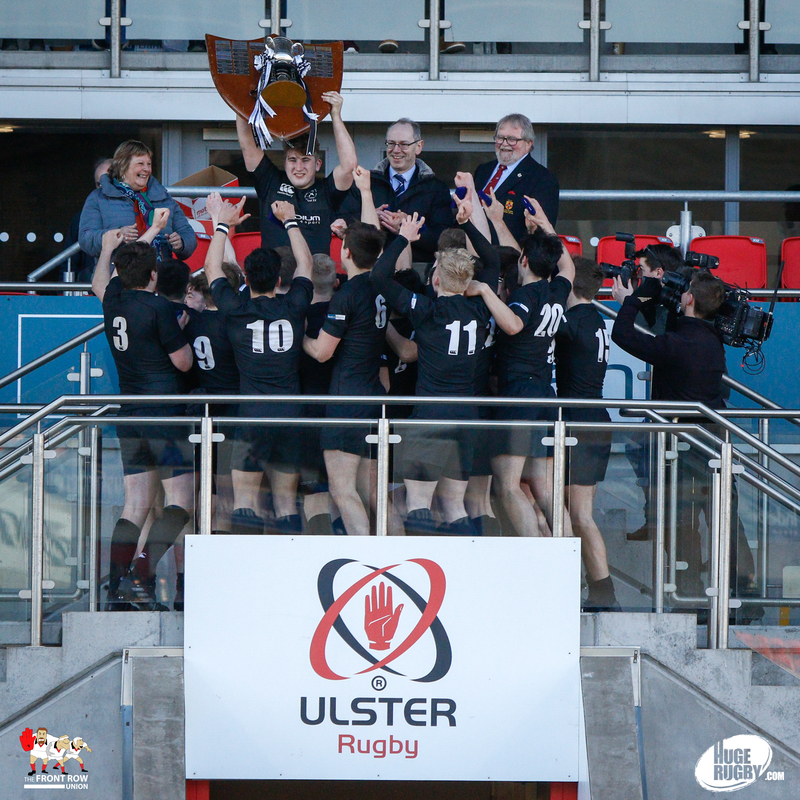 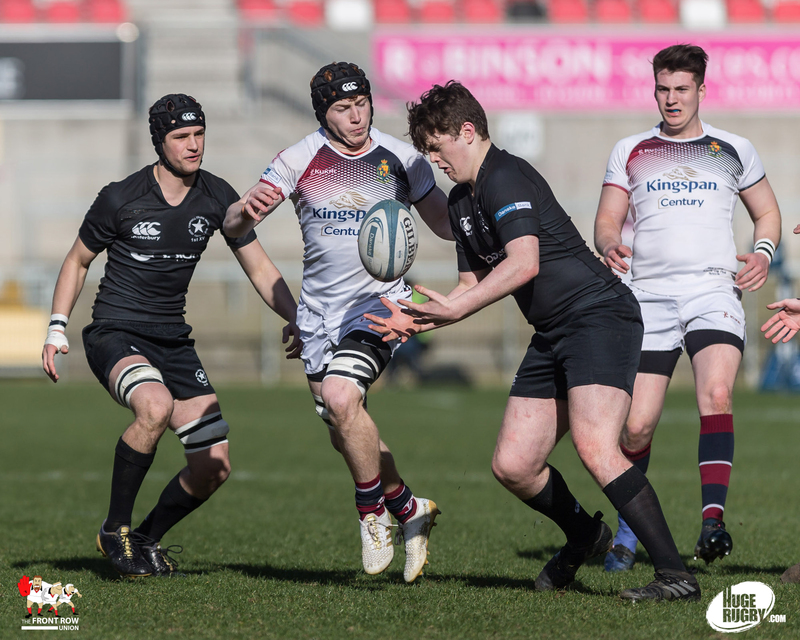 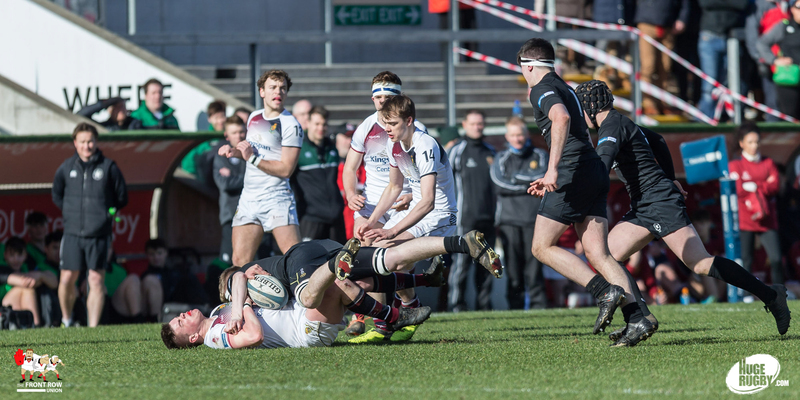 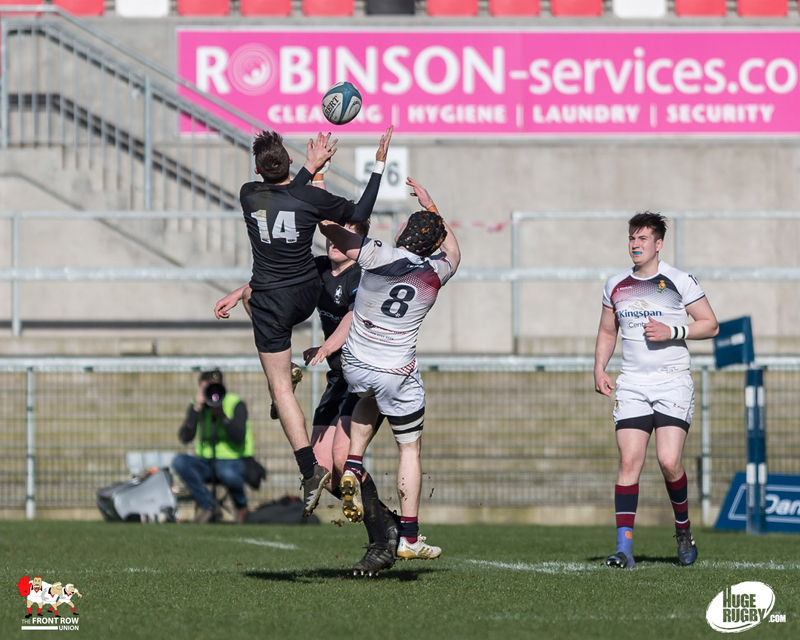 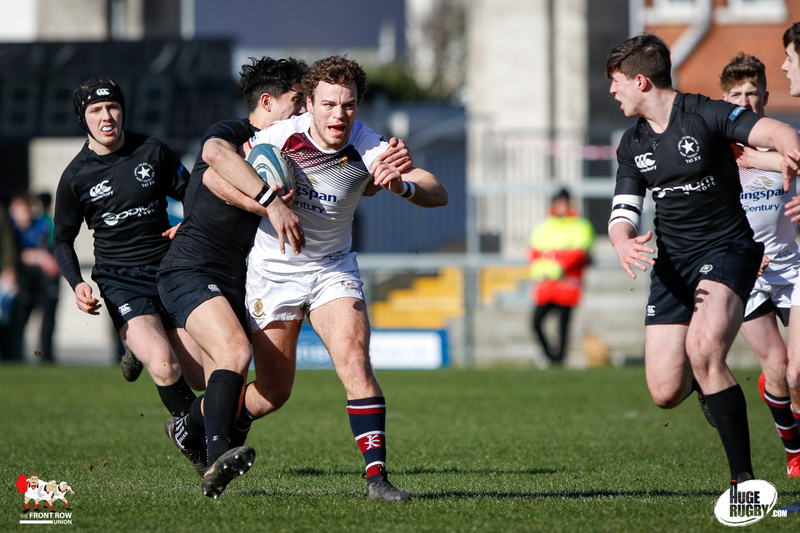 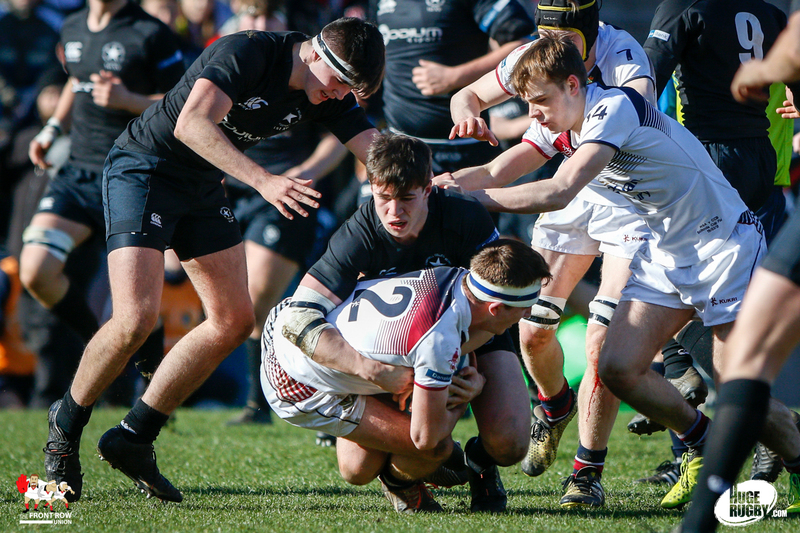 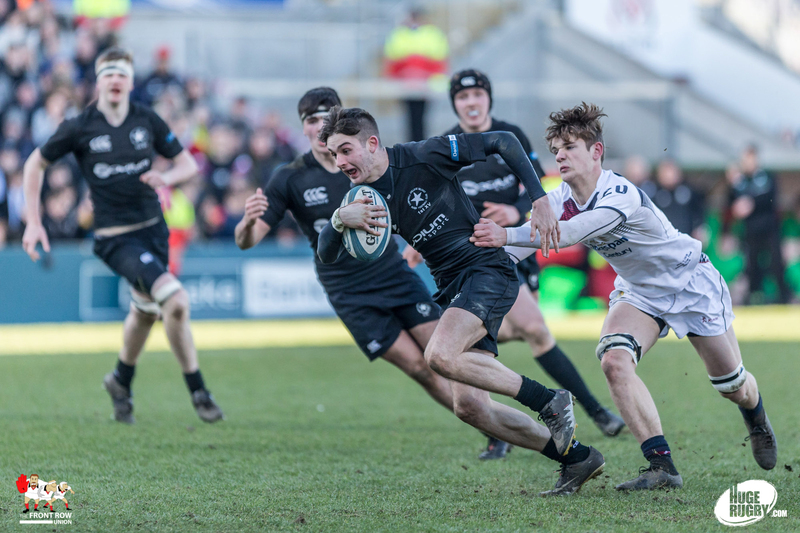 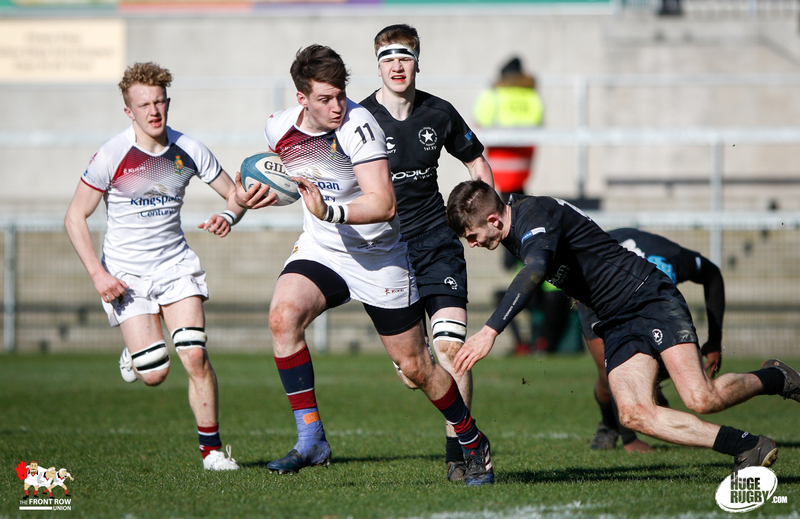 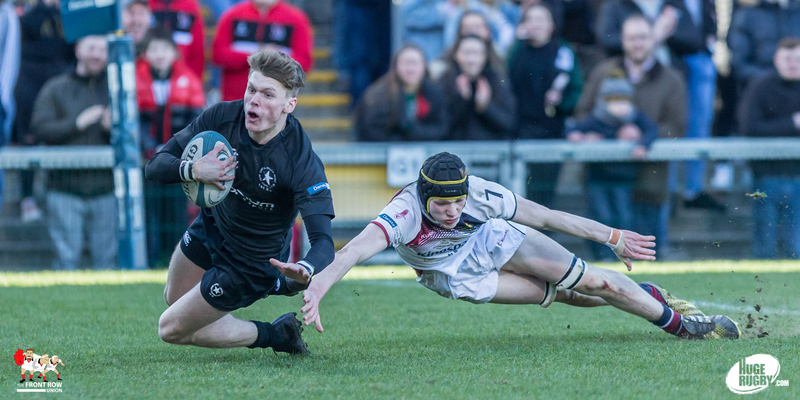 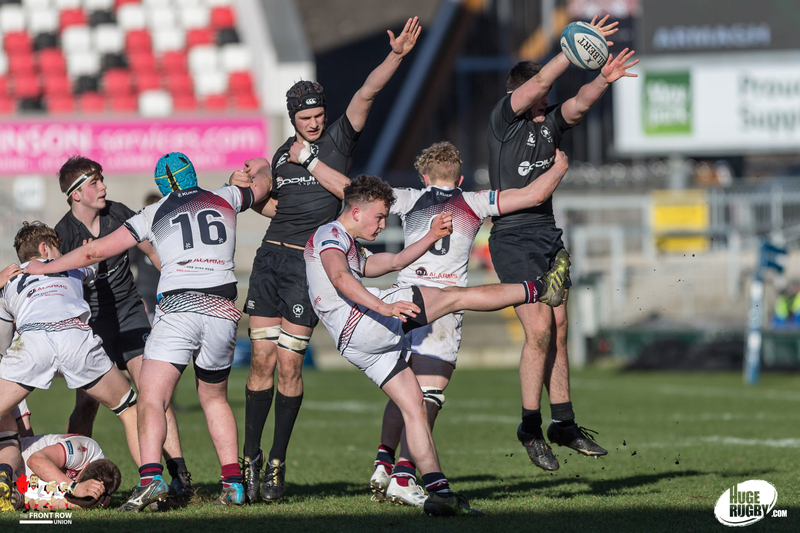 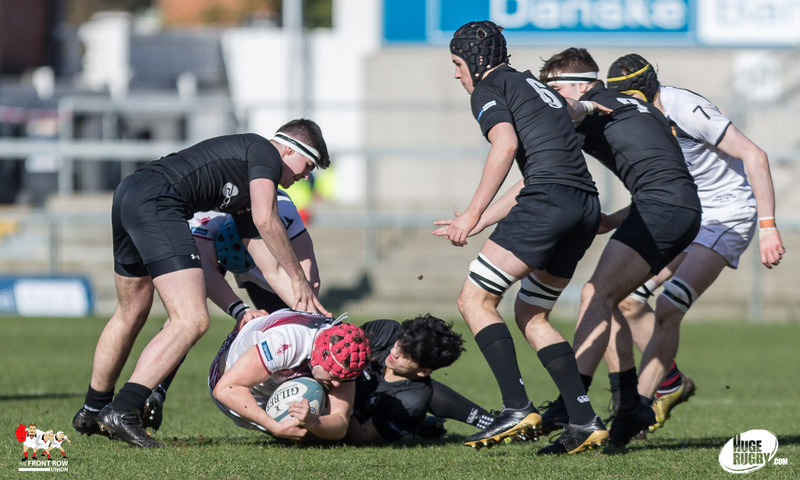 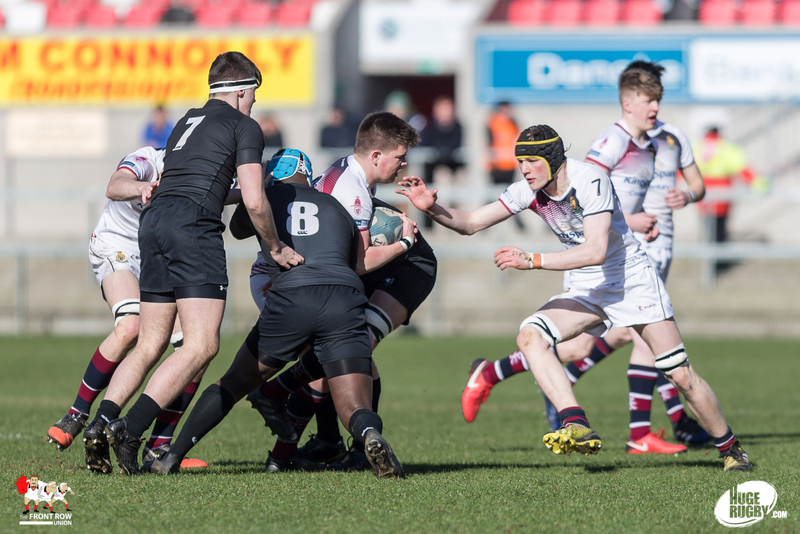 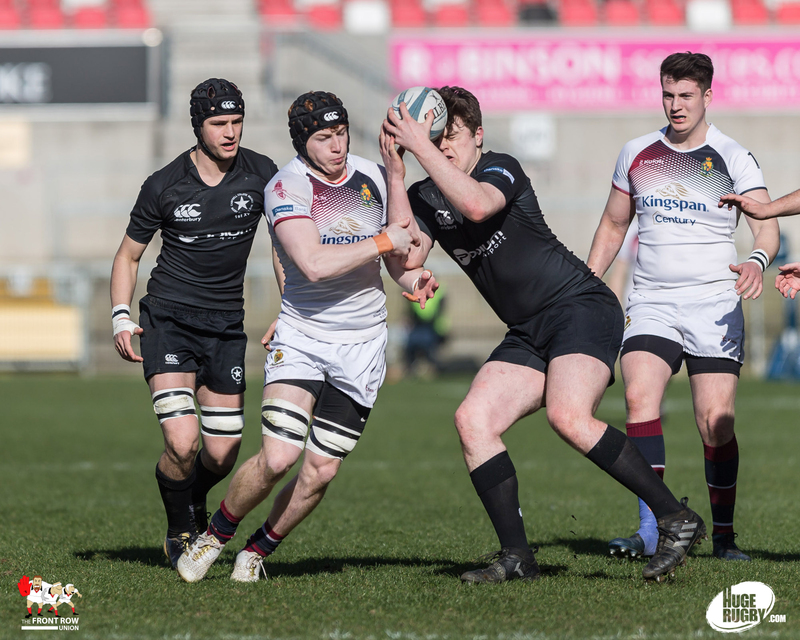 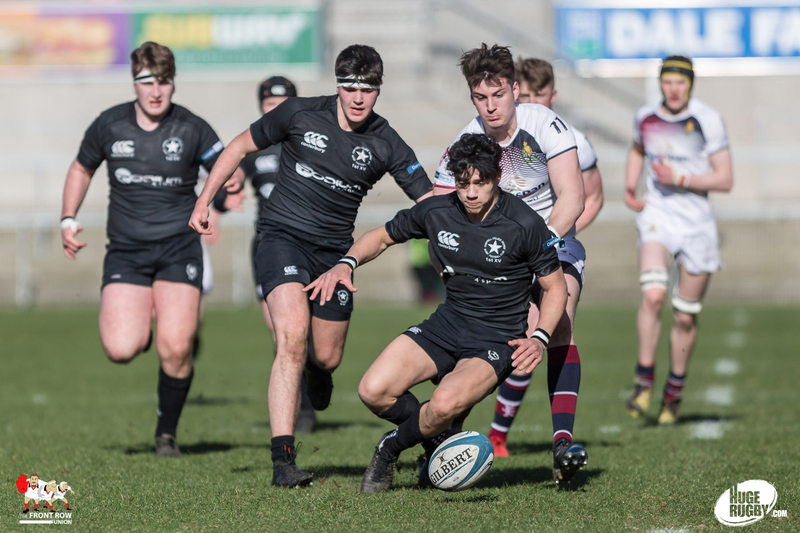 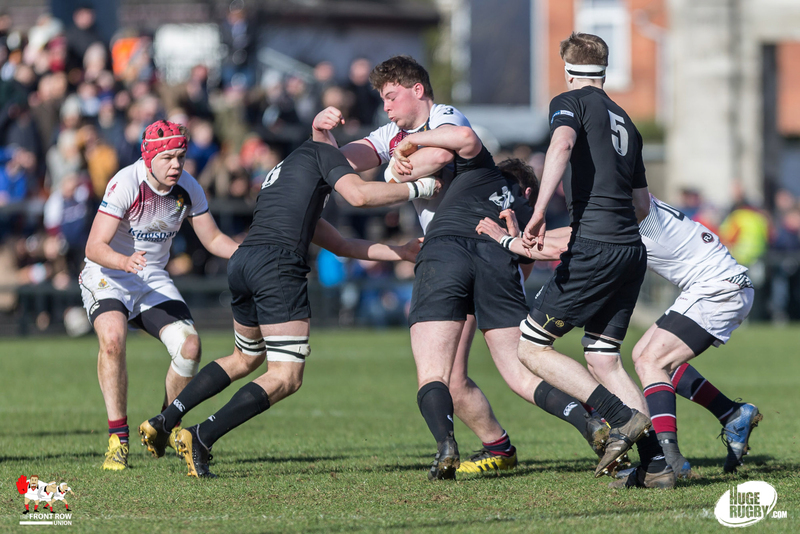 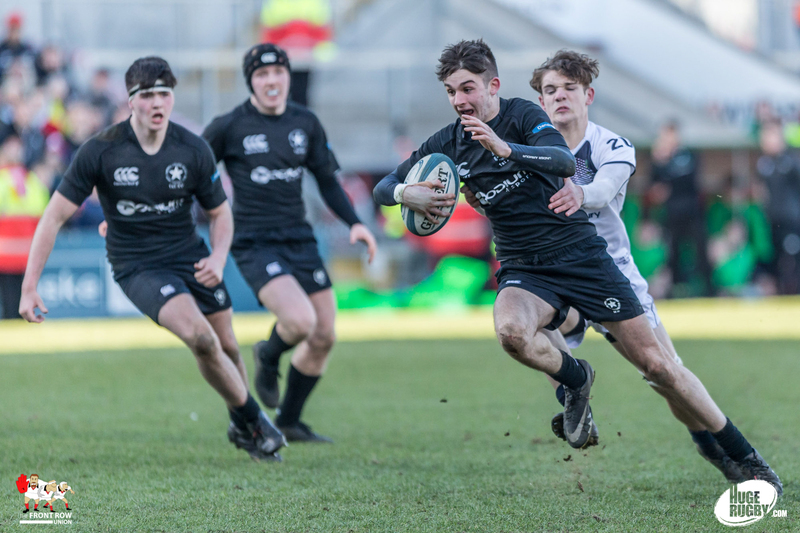 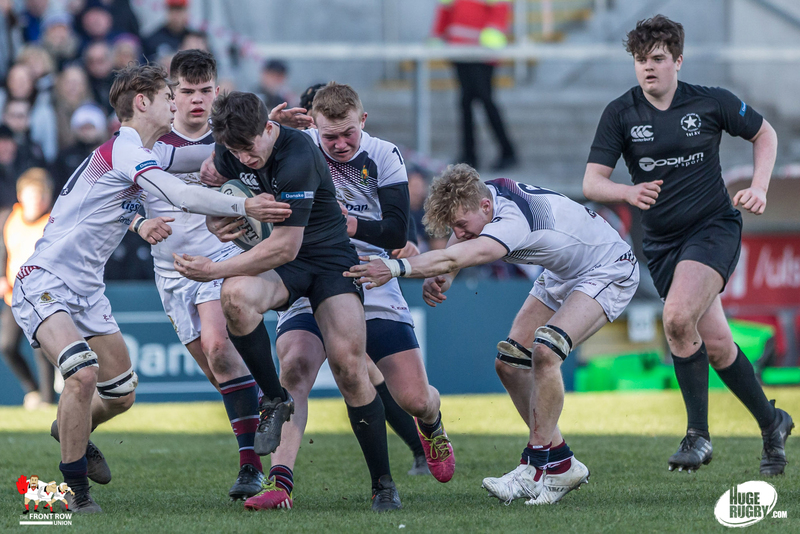 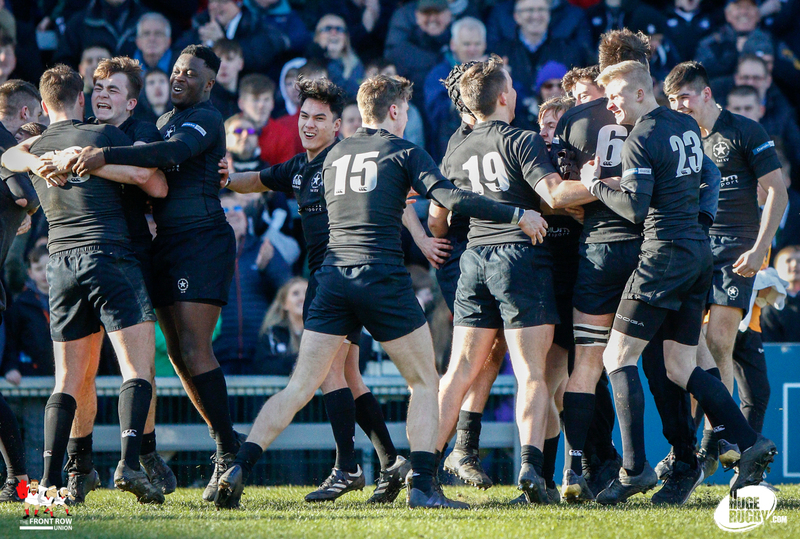 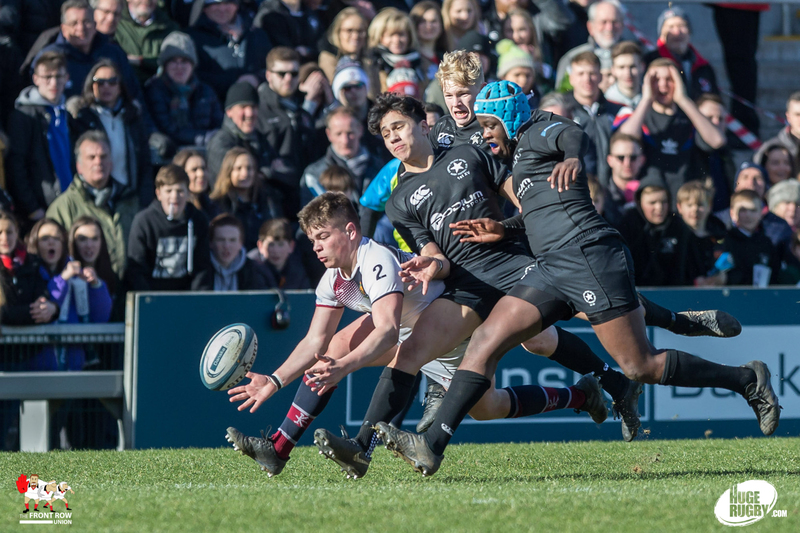 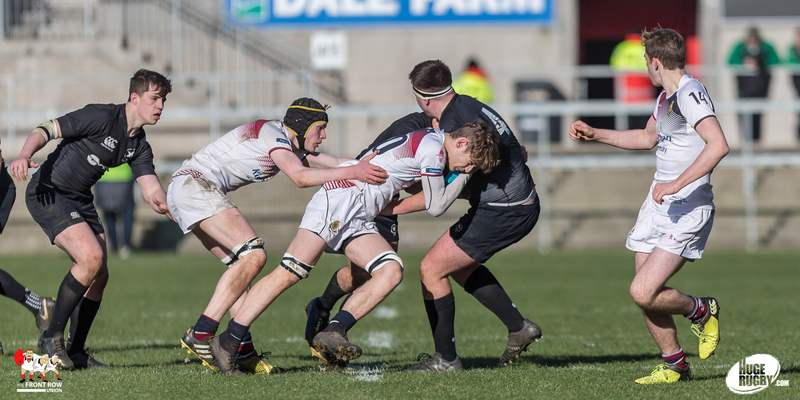 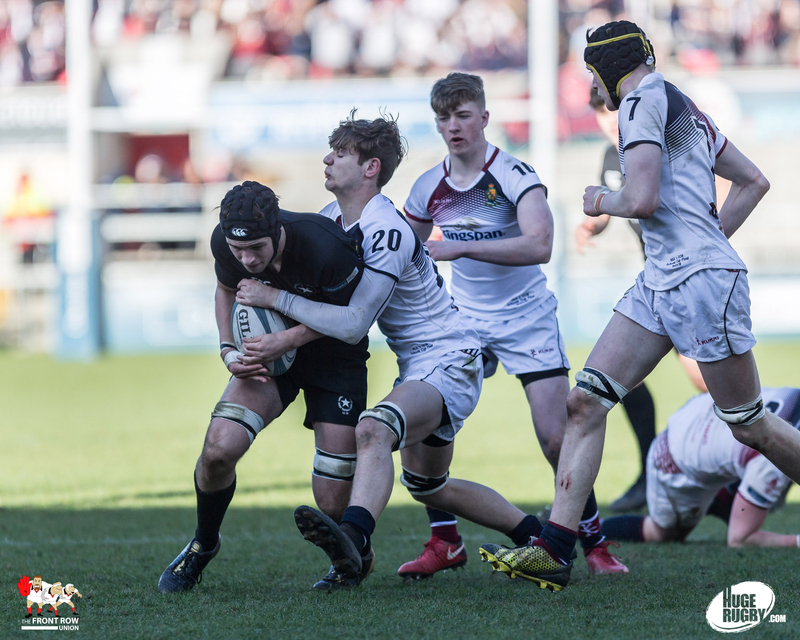 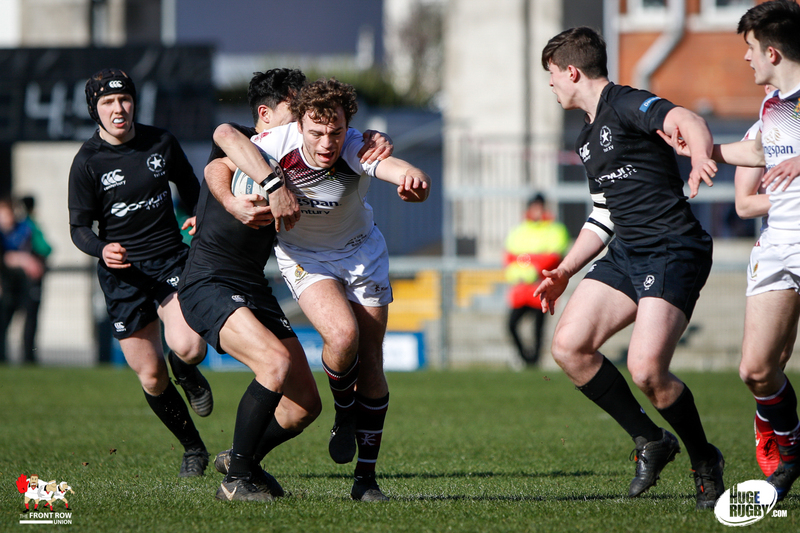 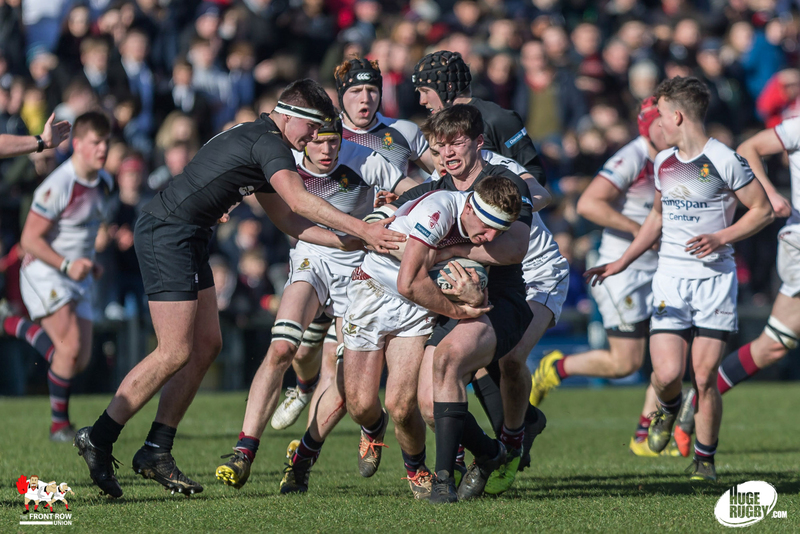 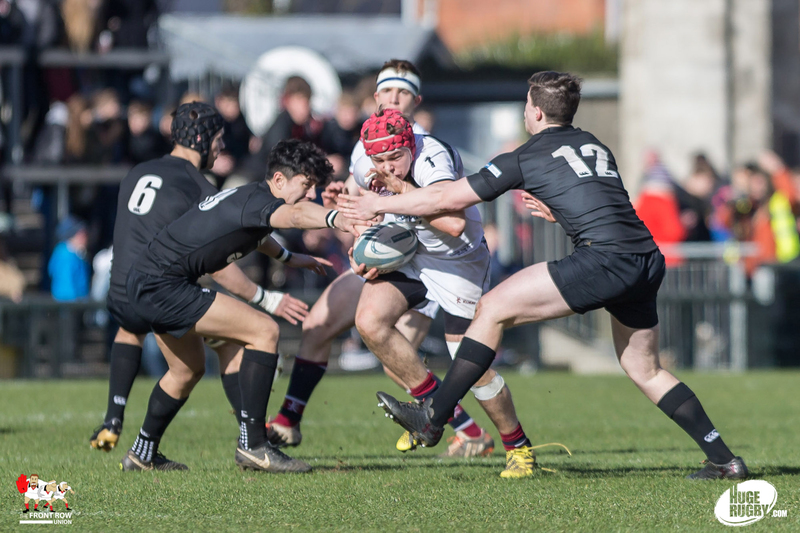 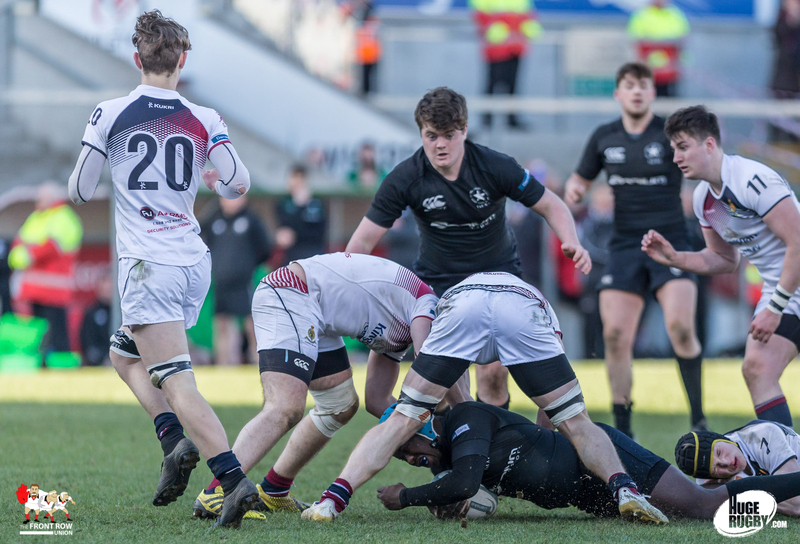 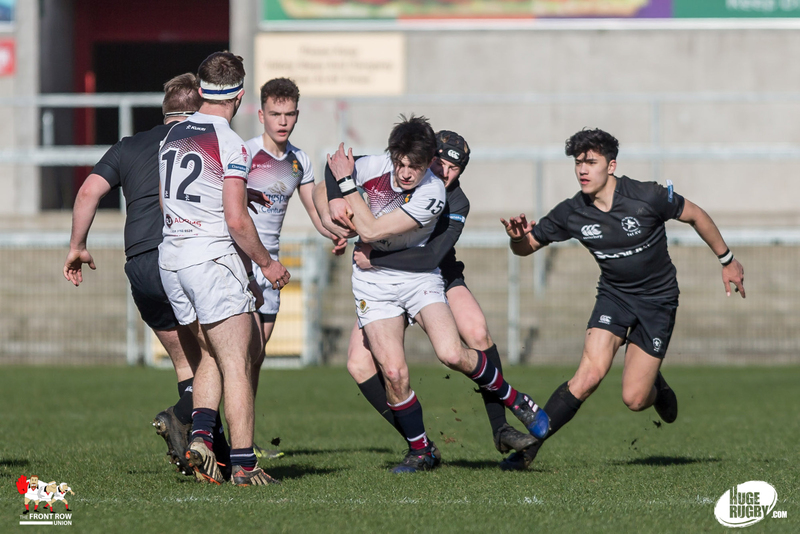 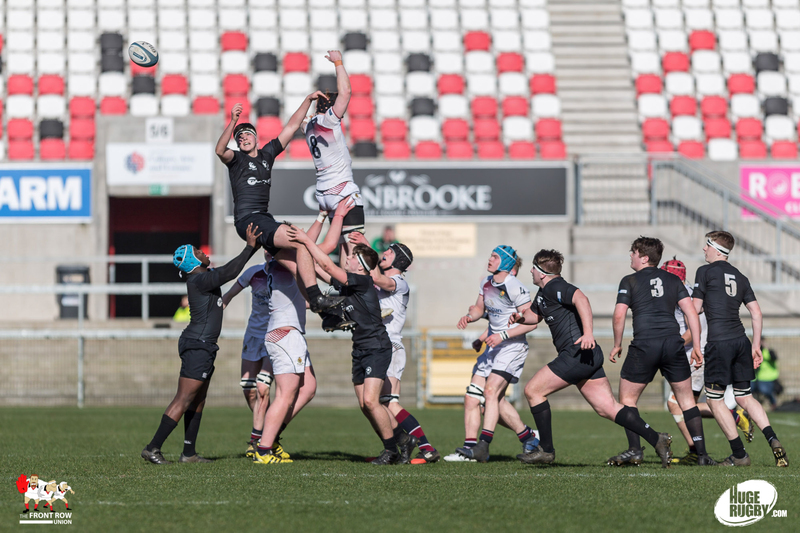 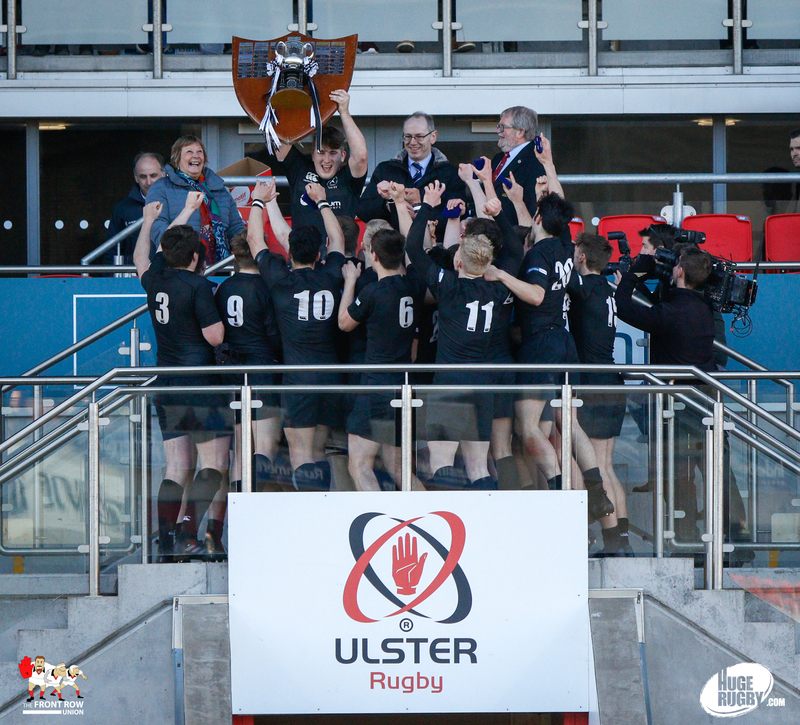 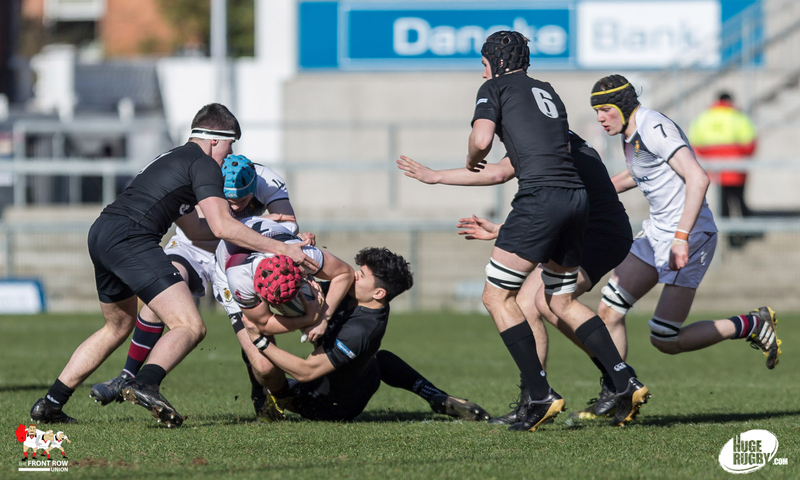 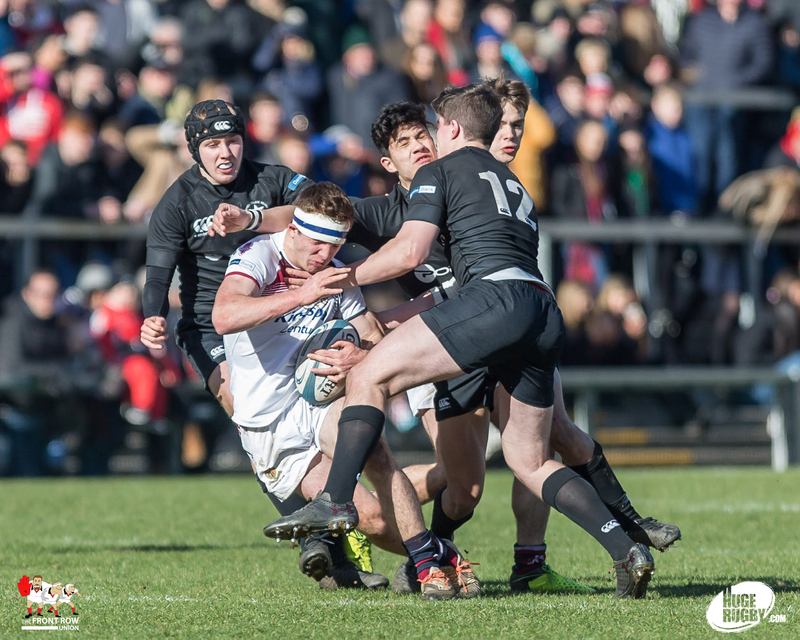 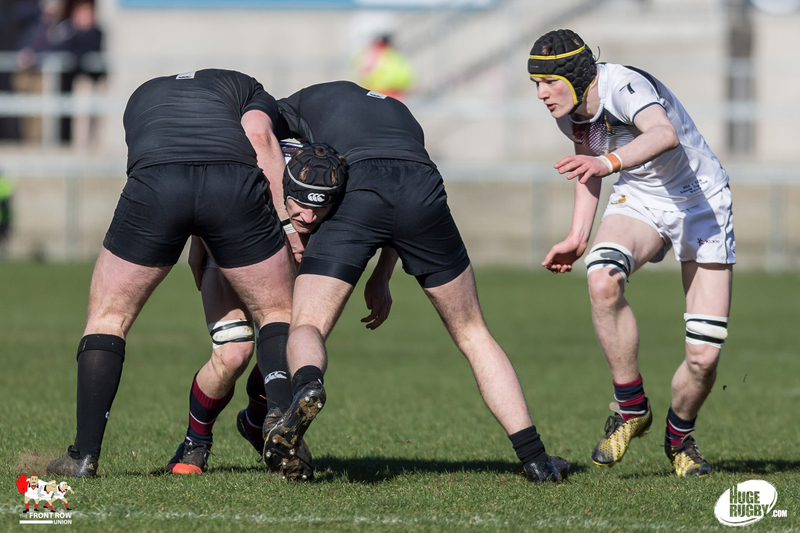 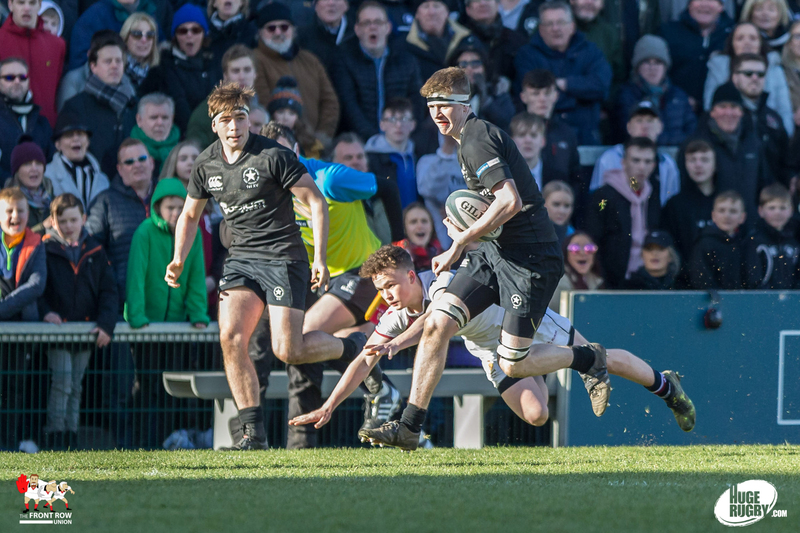 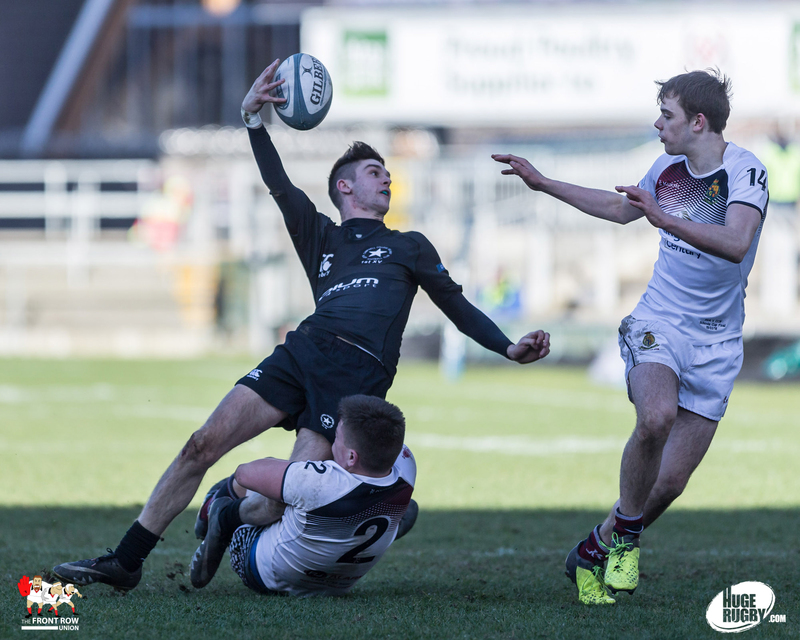 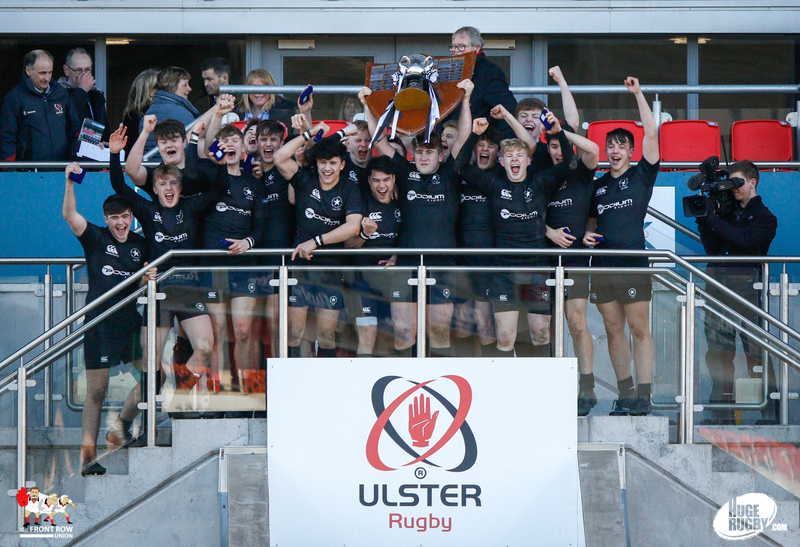 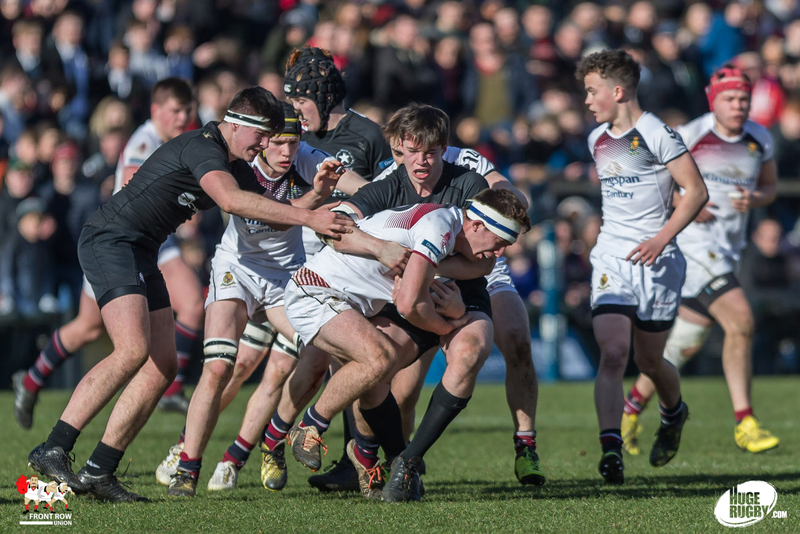 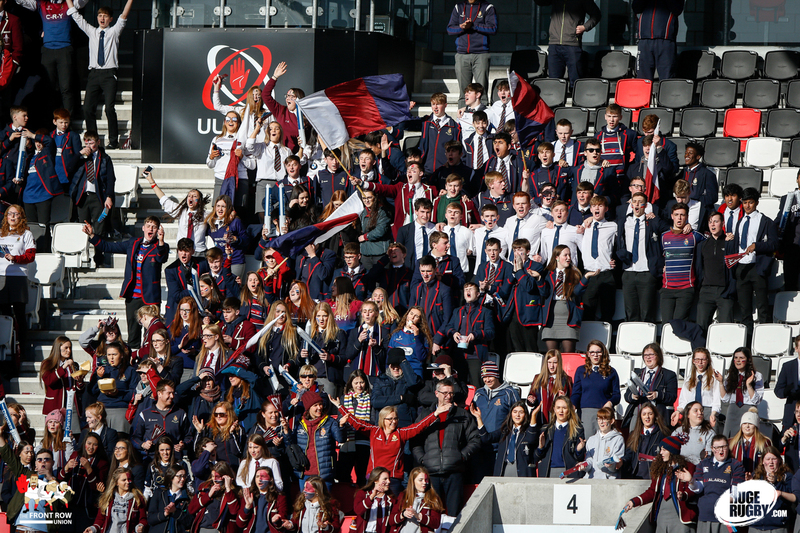 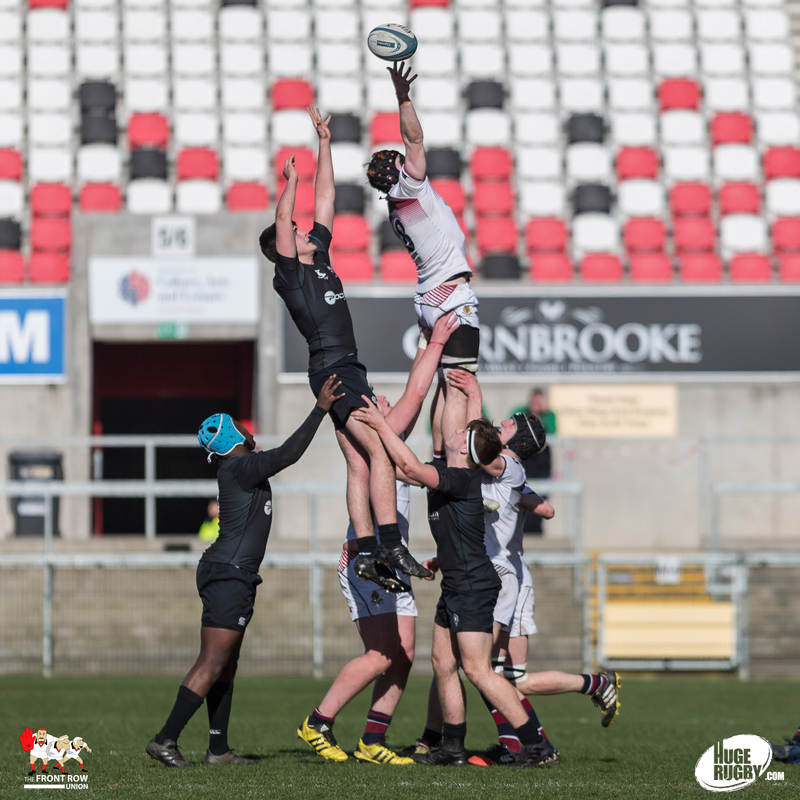 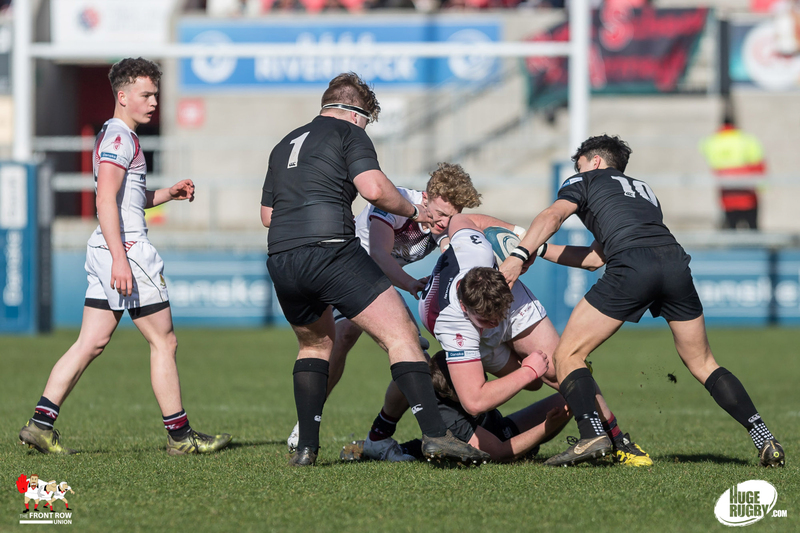 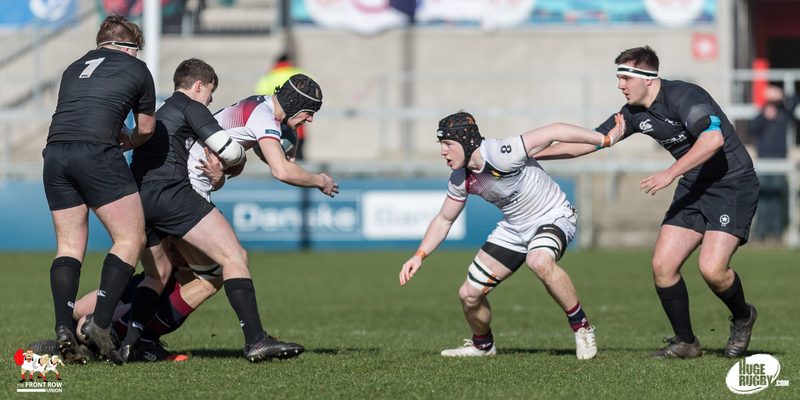 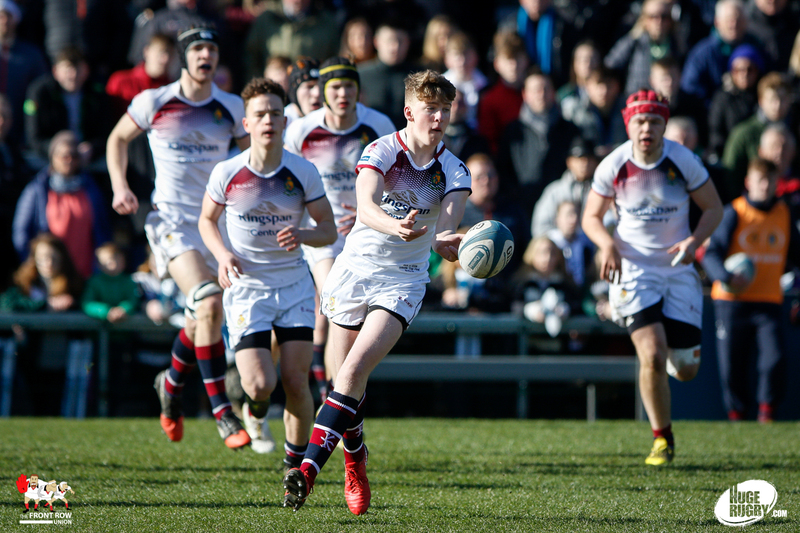 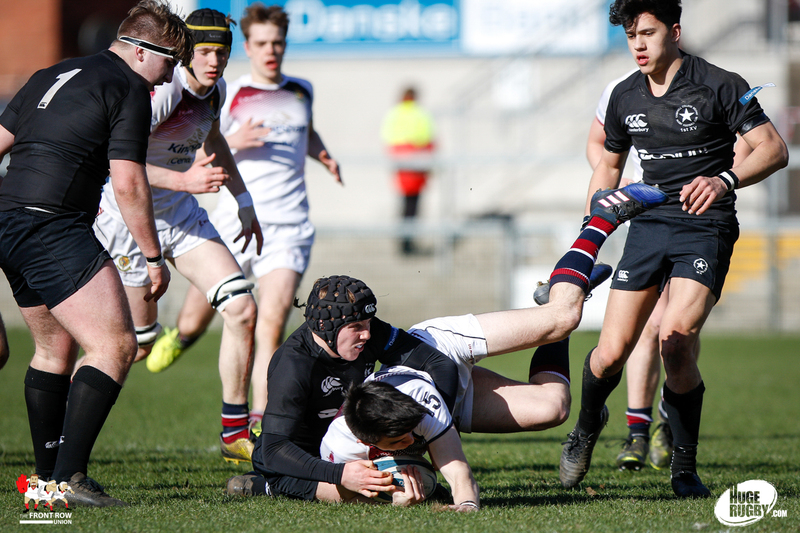 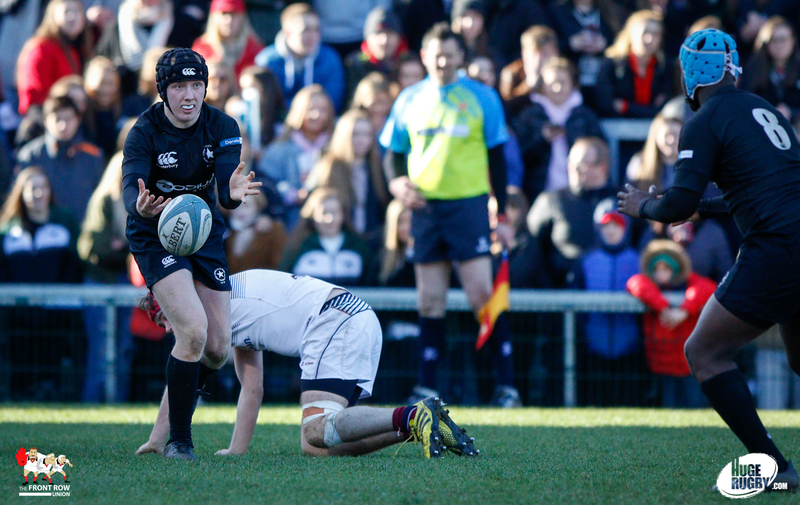 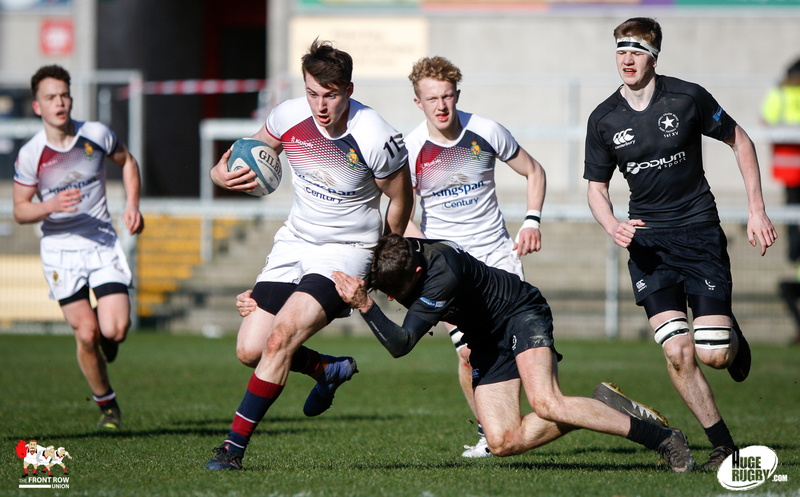 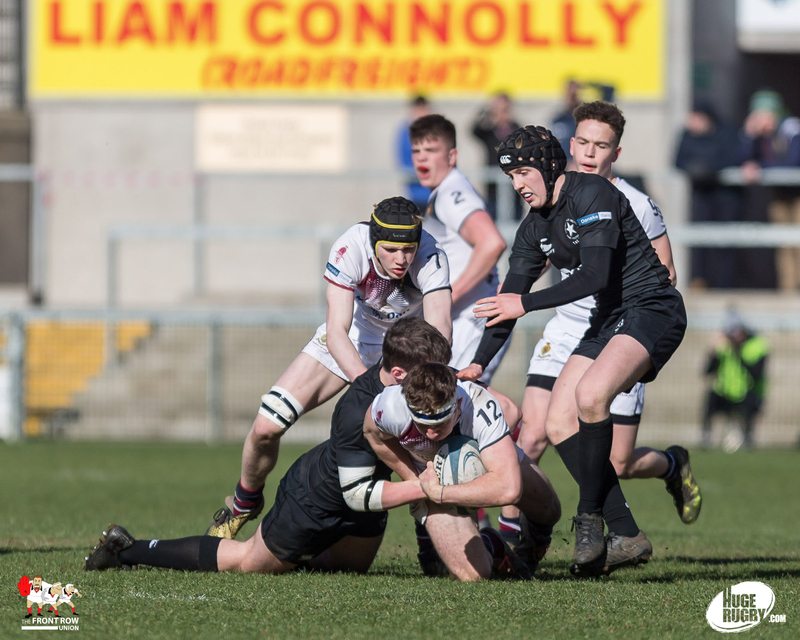 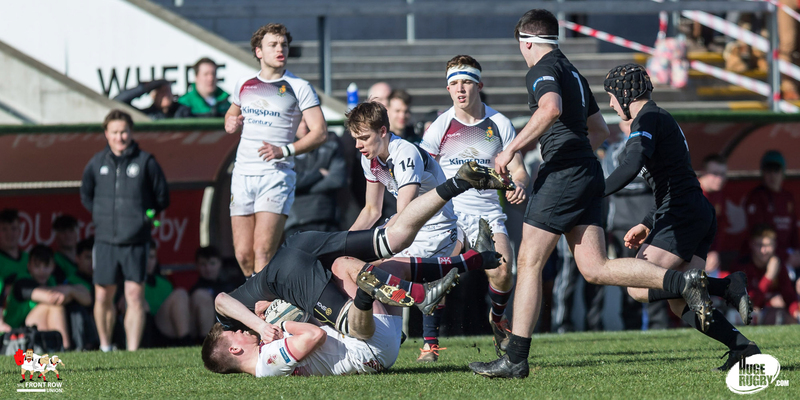 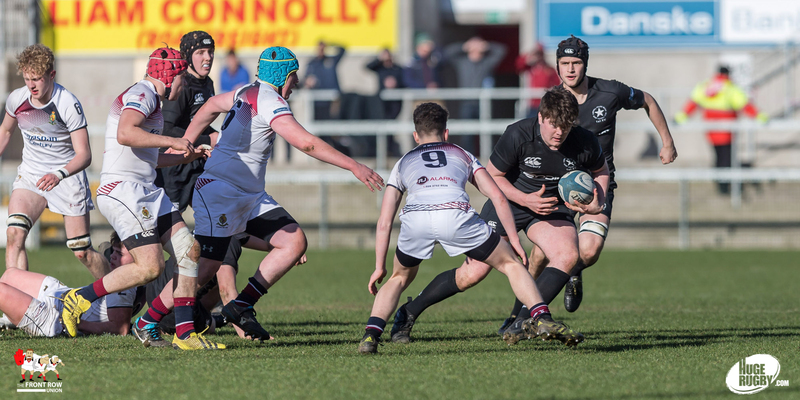 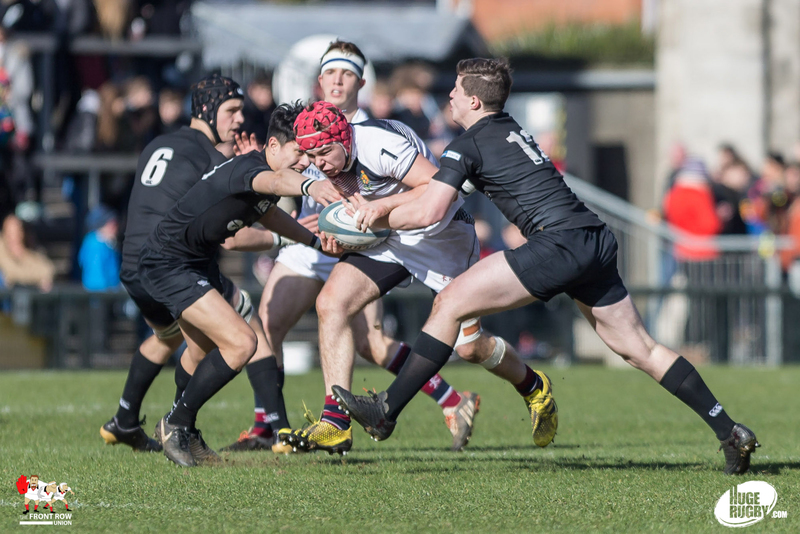 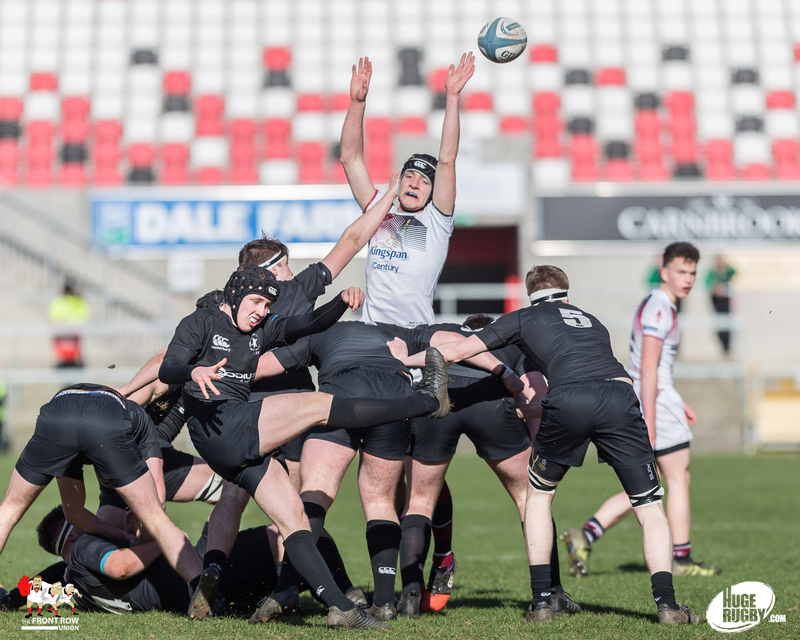 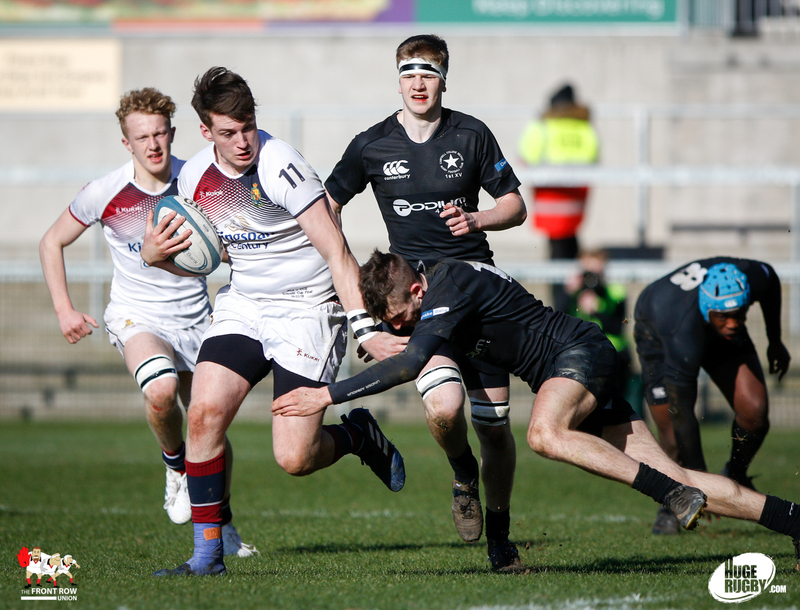 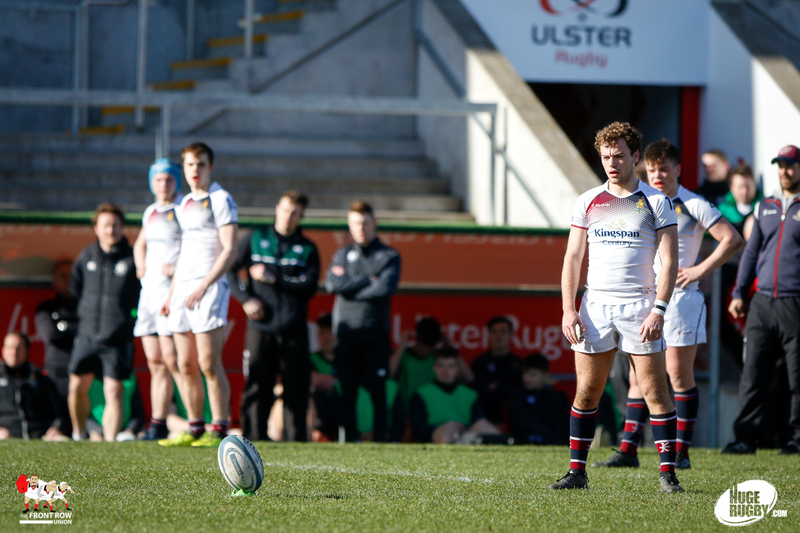 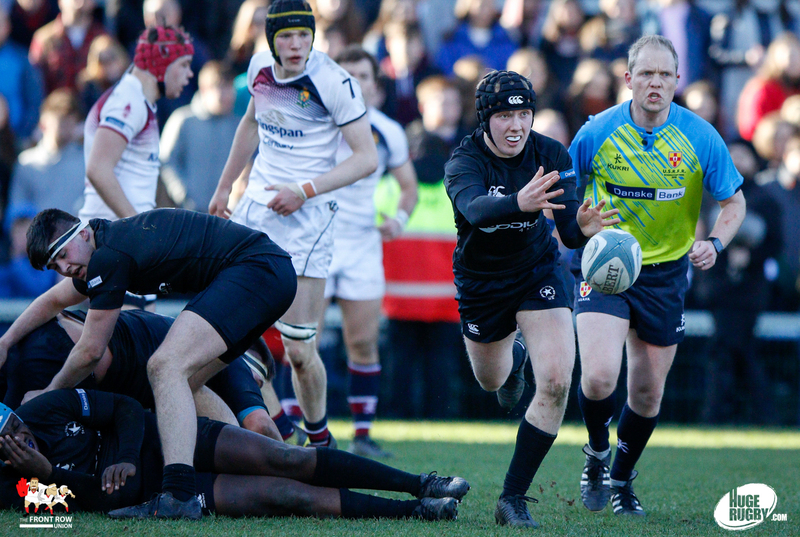 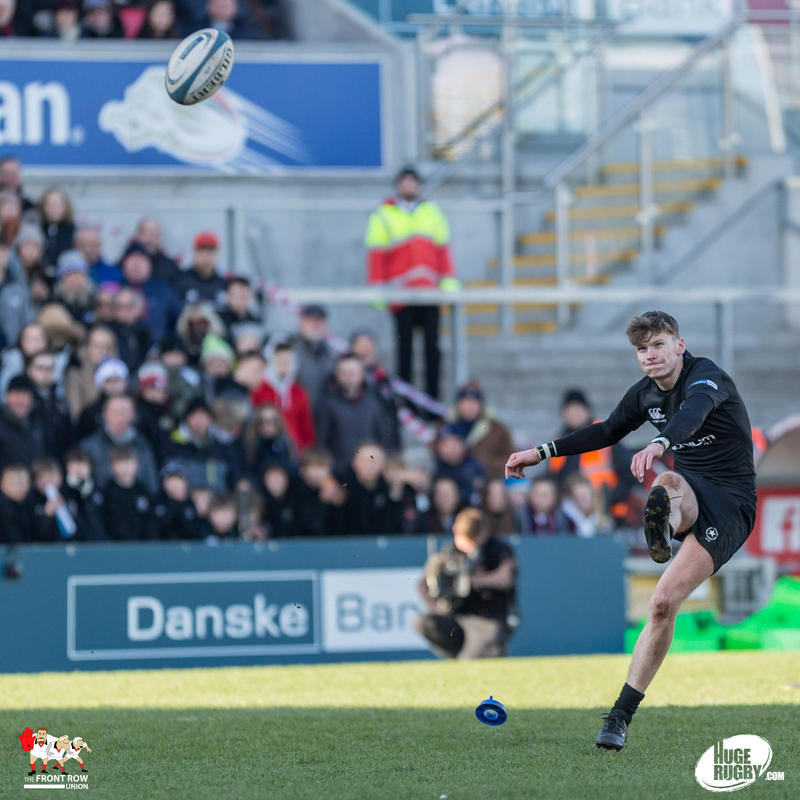 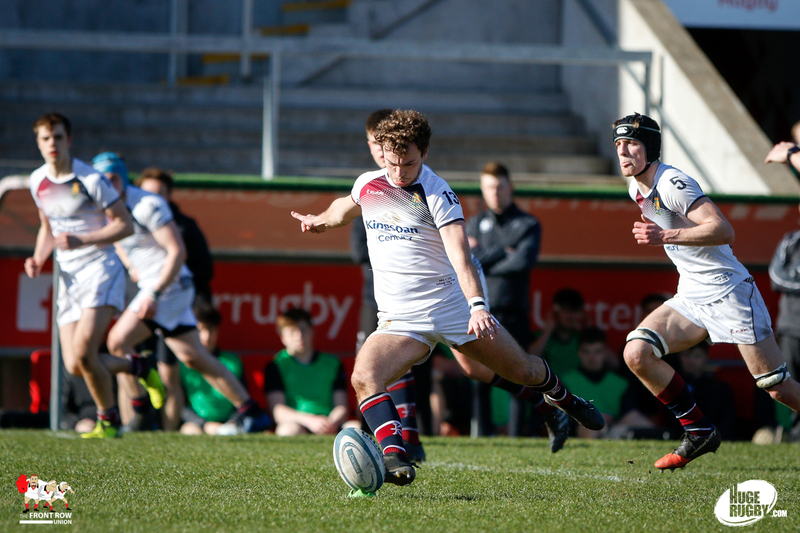 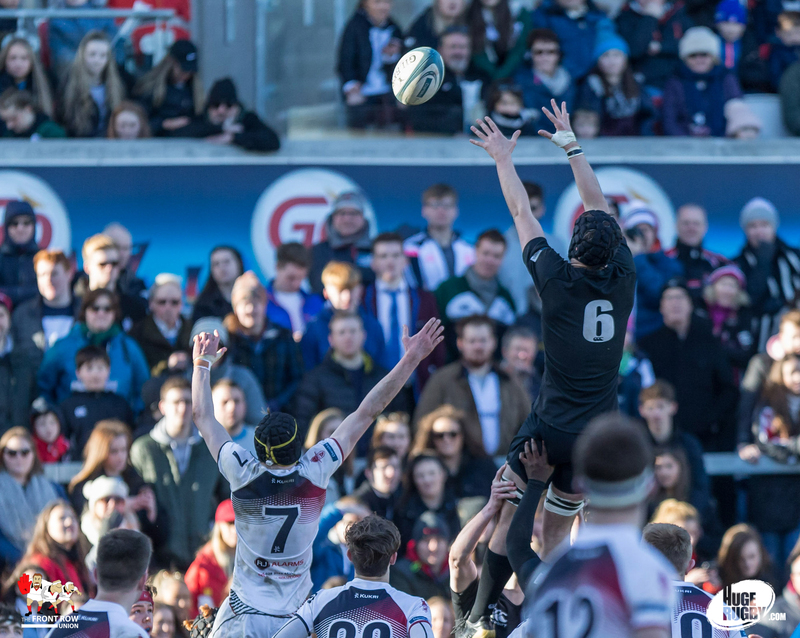 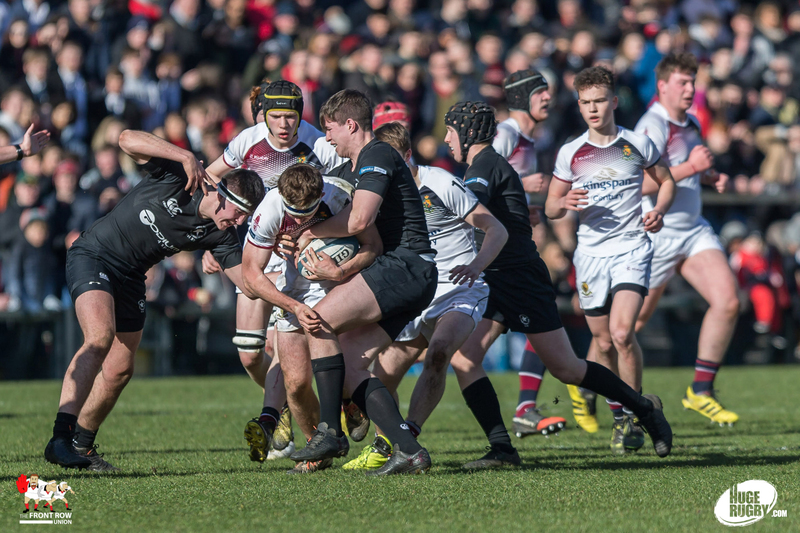 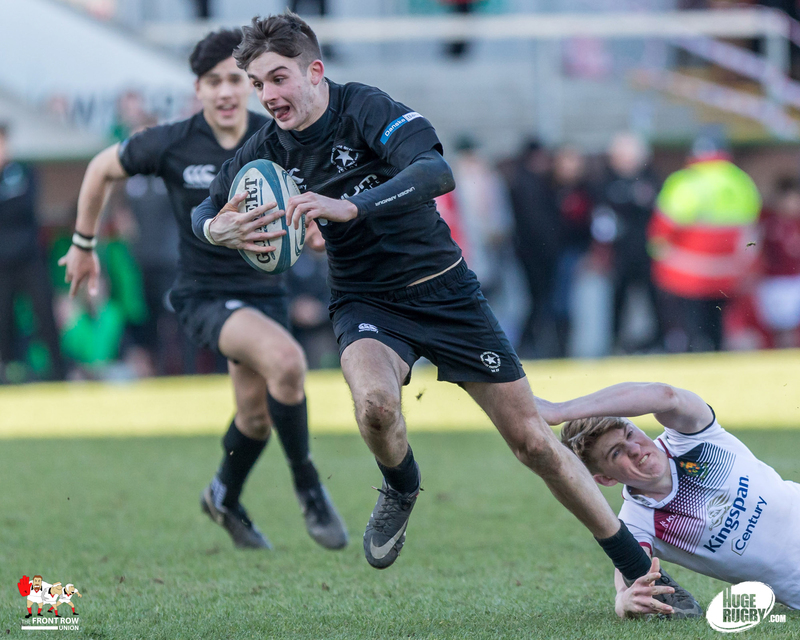 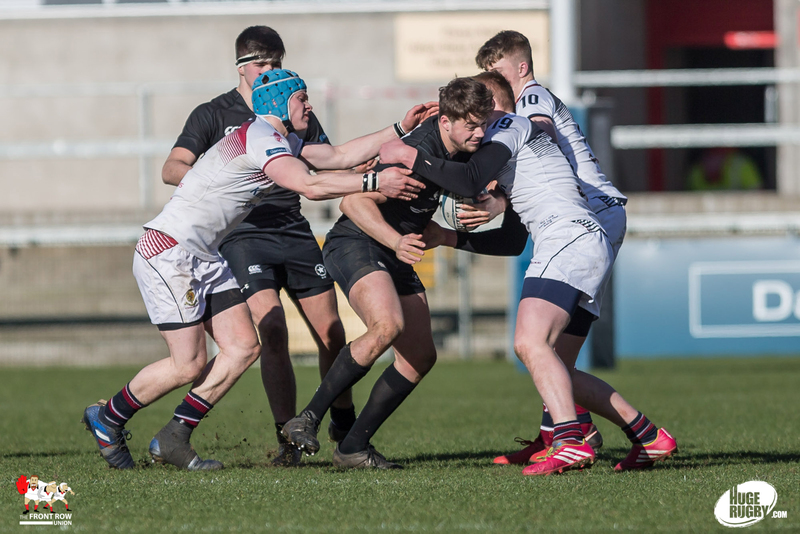 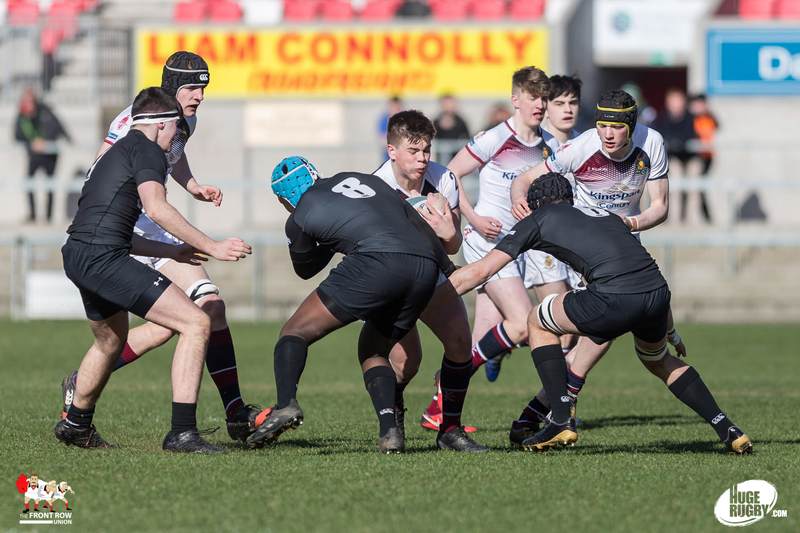 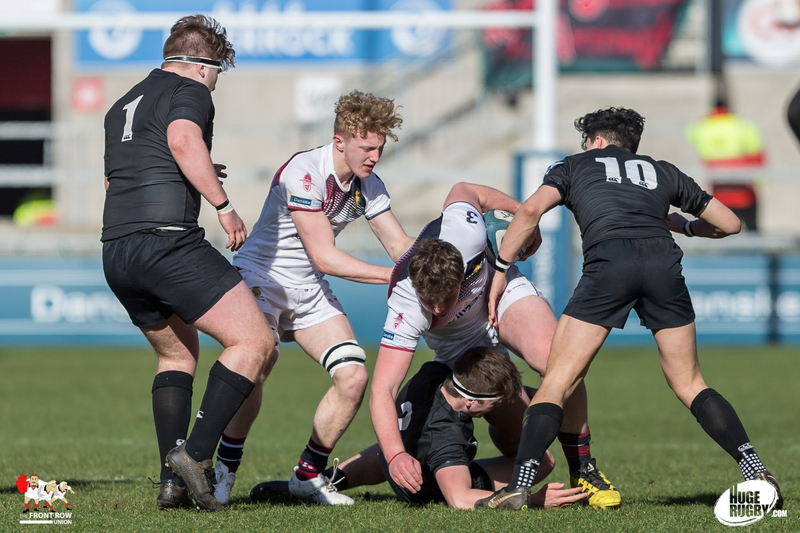 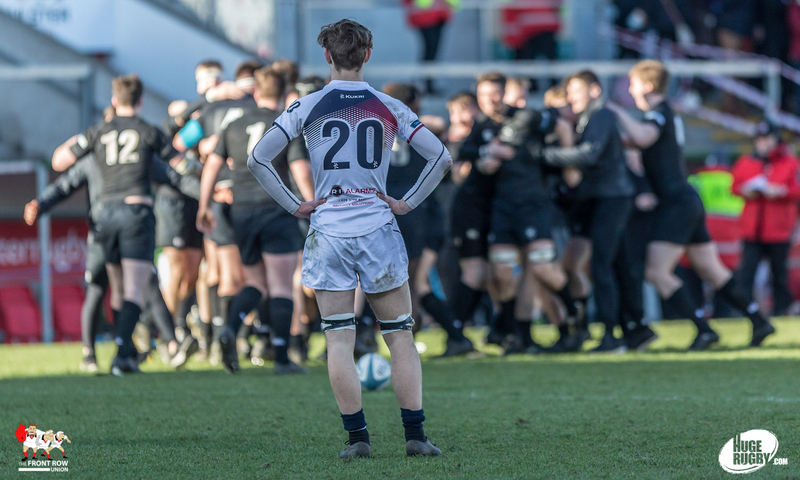 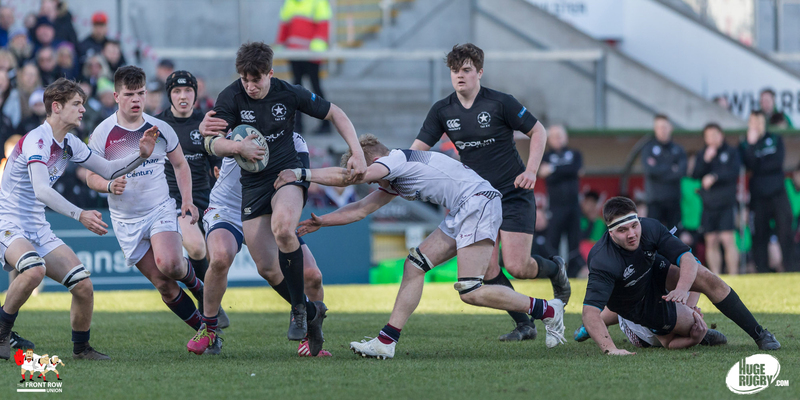 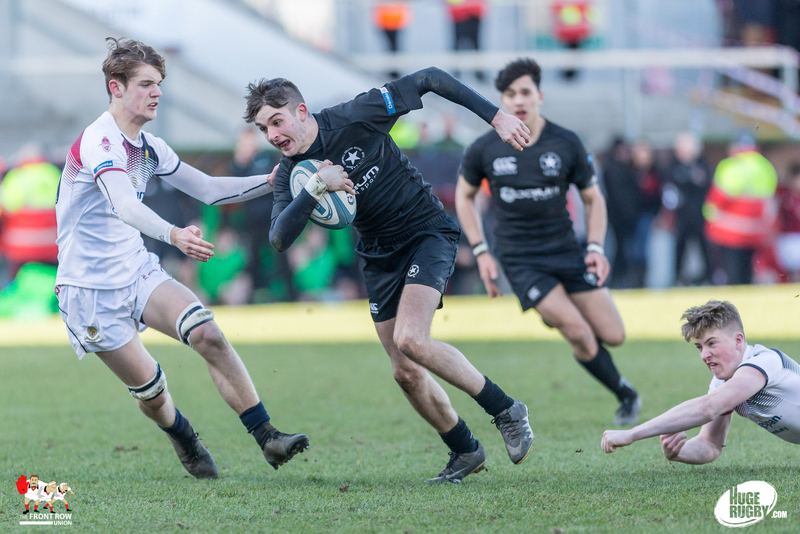 Campbell College ran out winners by 19 – 13 against Royal School Armagh in Monday afternoon’s Danske Bank Schools Cup Final at Ravenhill. 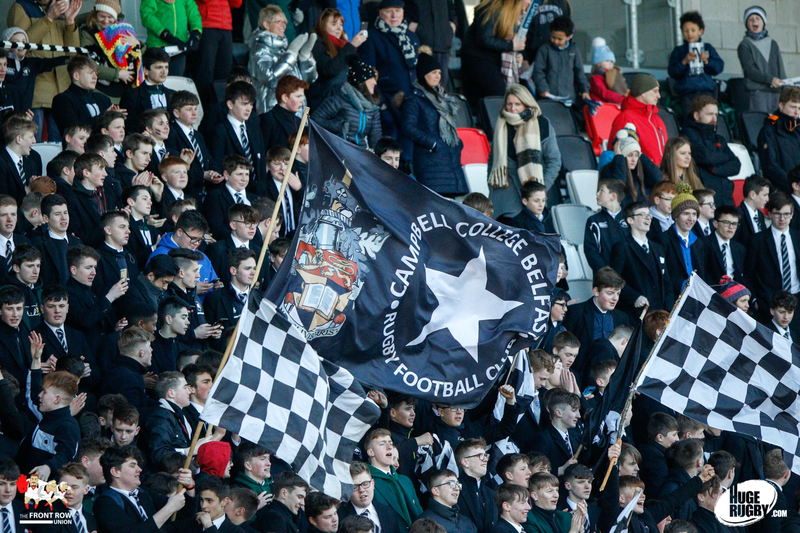 In a tense first half, Campbell College scored the only points with Dara Gaskin crossing to give the Belfast side a vital 5 – 0 lead at the break. 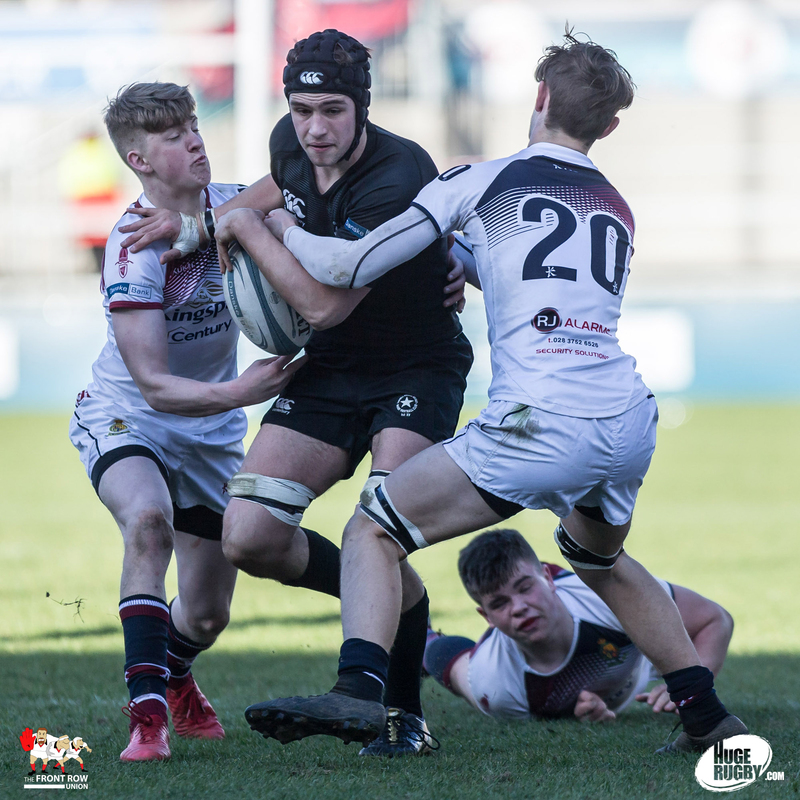 Zac Thompson pulled the score back to 5 – 3, with a penalty, before a chip and chase by Conor Rankin extended the Belfast side’s lead to 12 – 3, the Campbell fullback converting his own try. 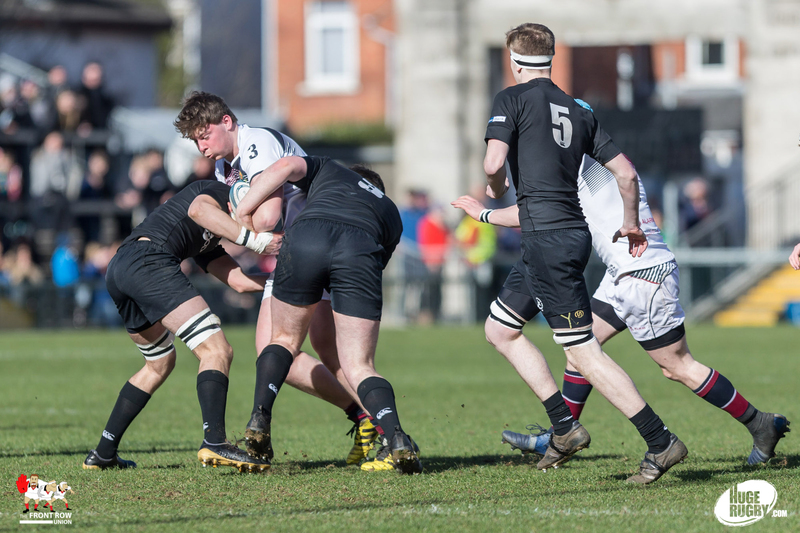 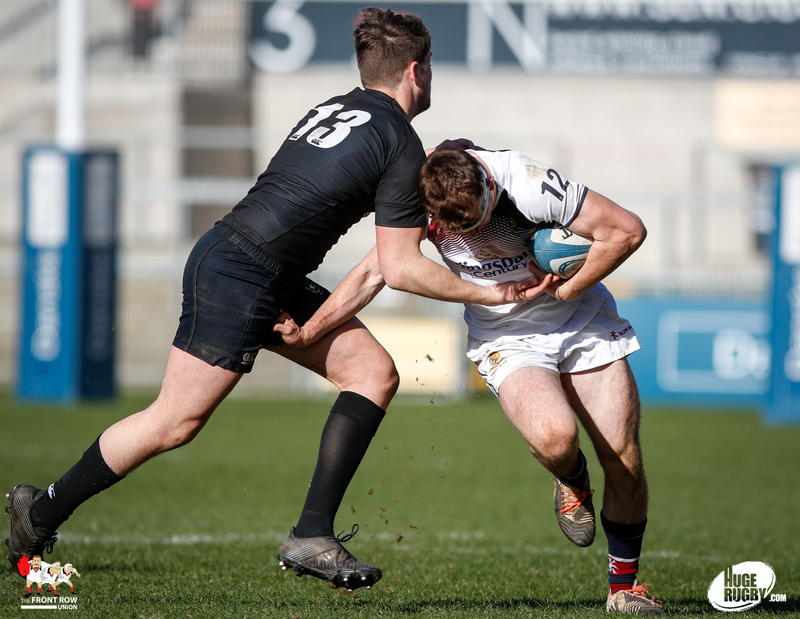 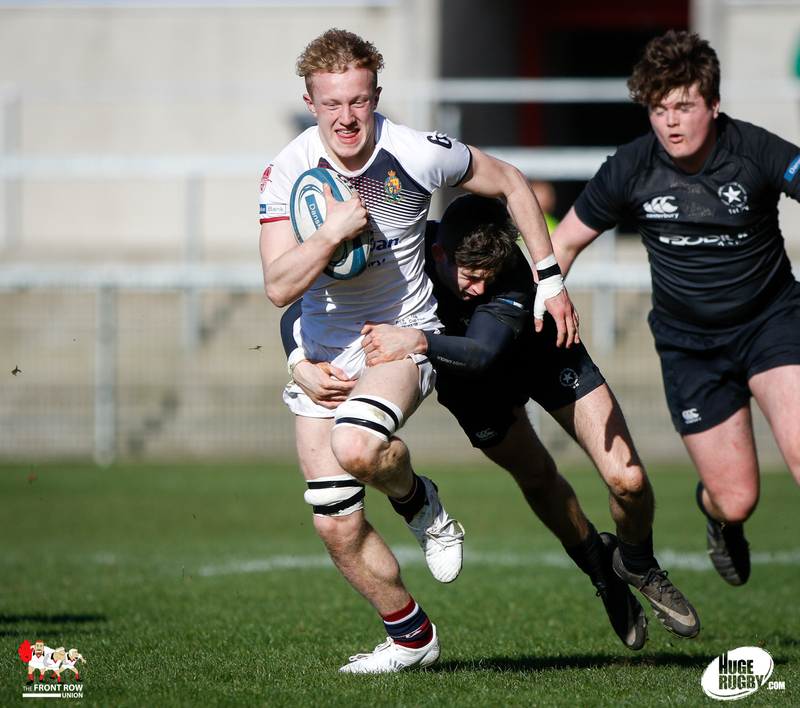 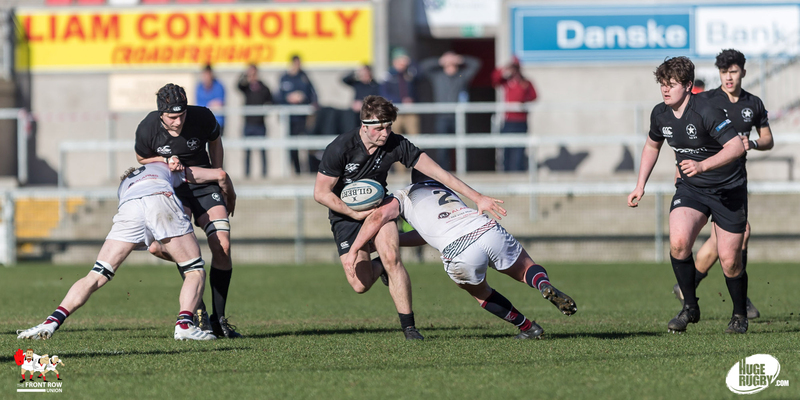 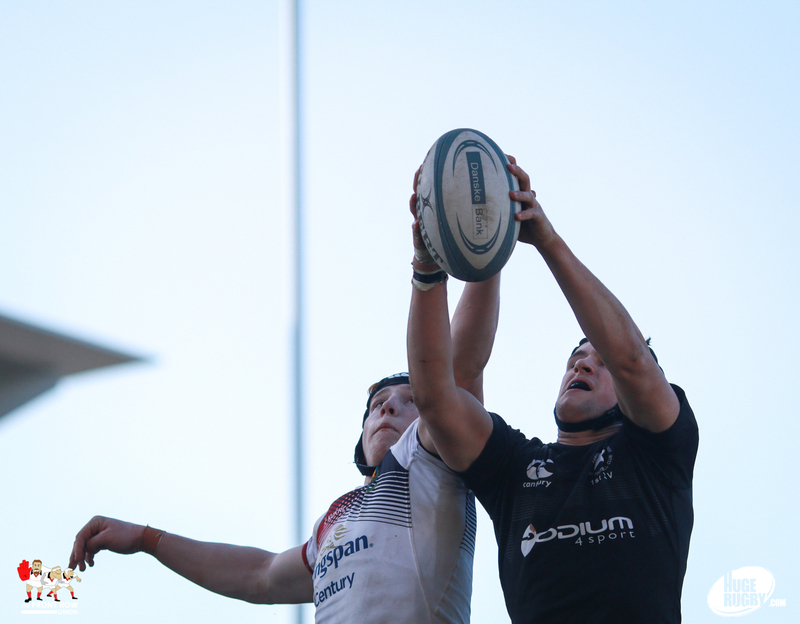 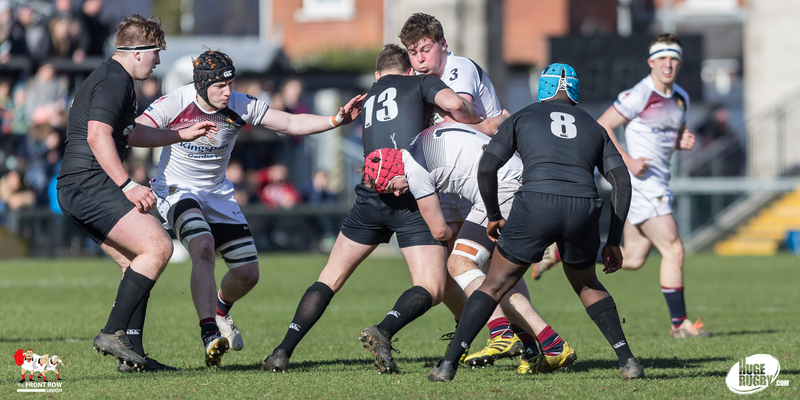 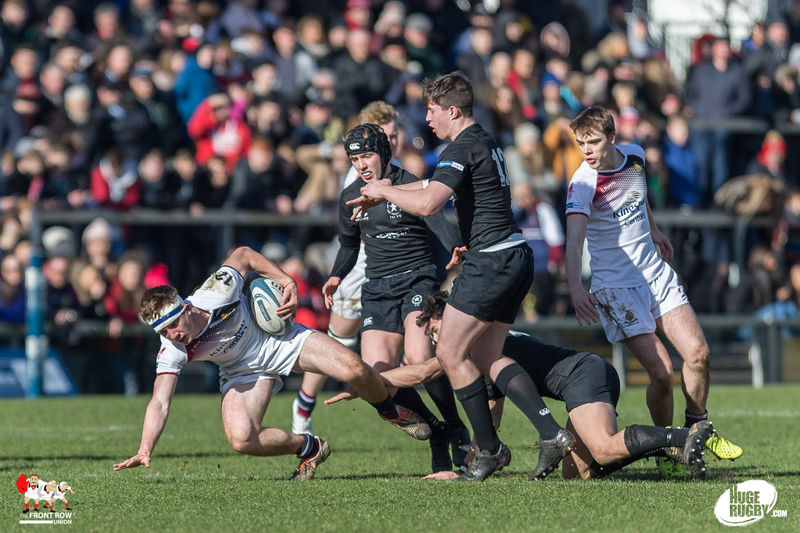 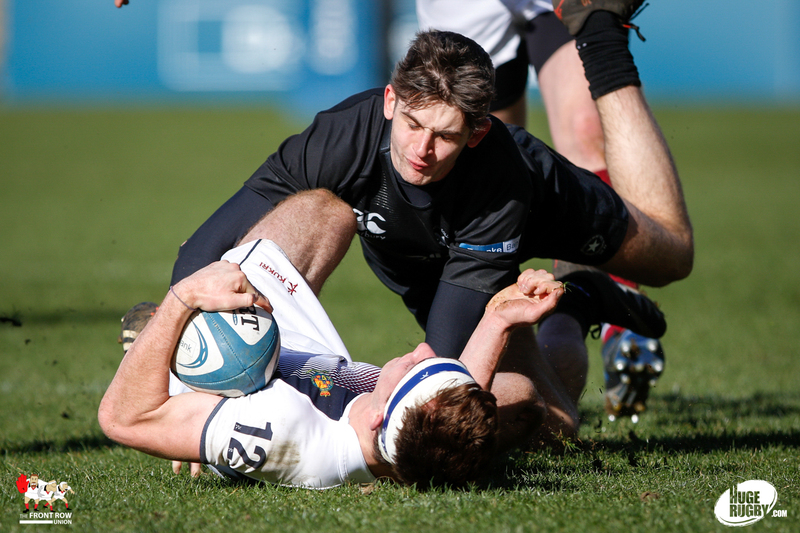 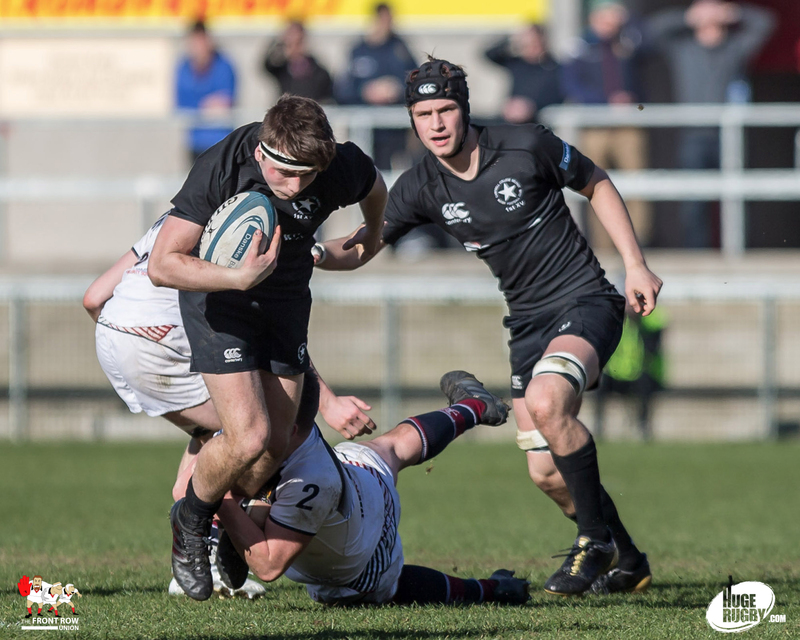 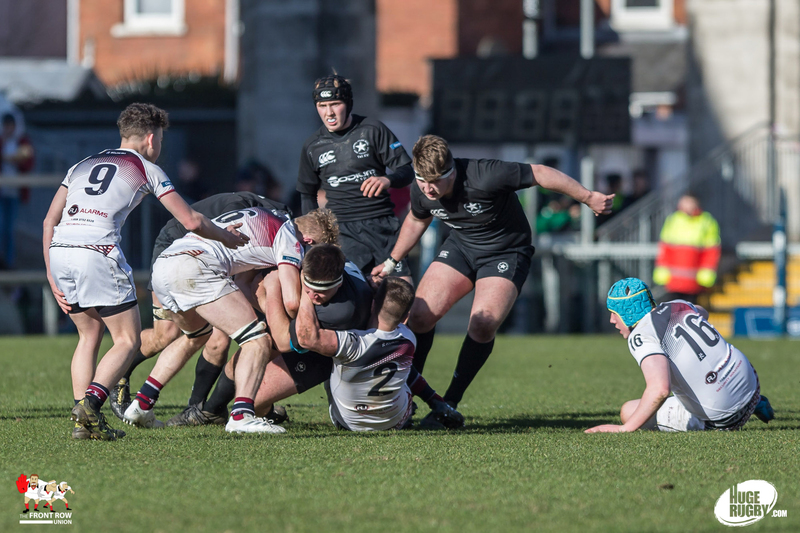 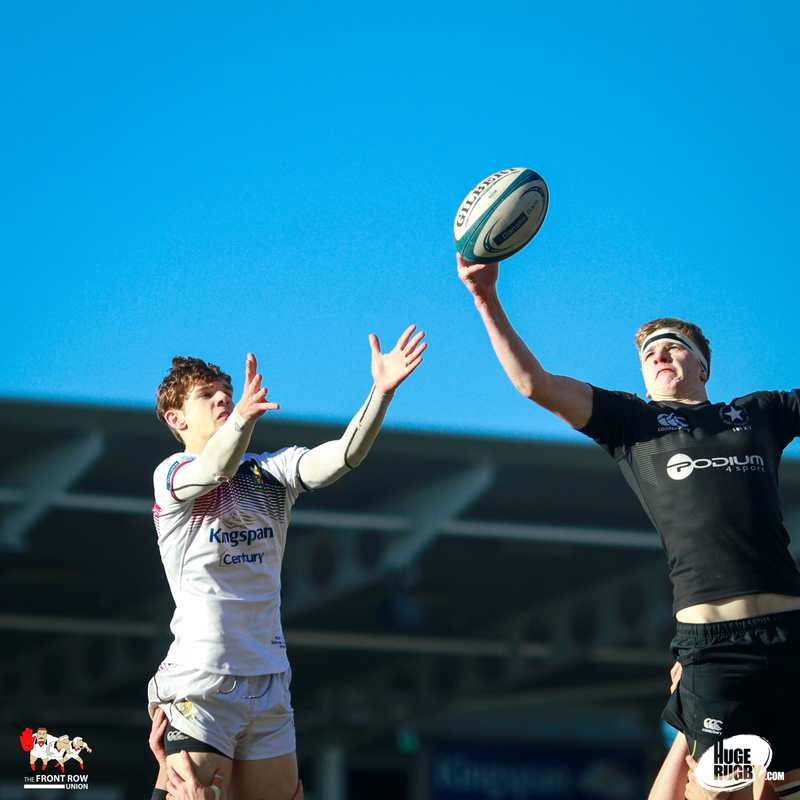 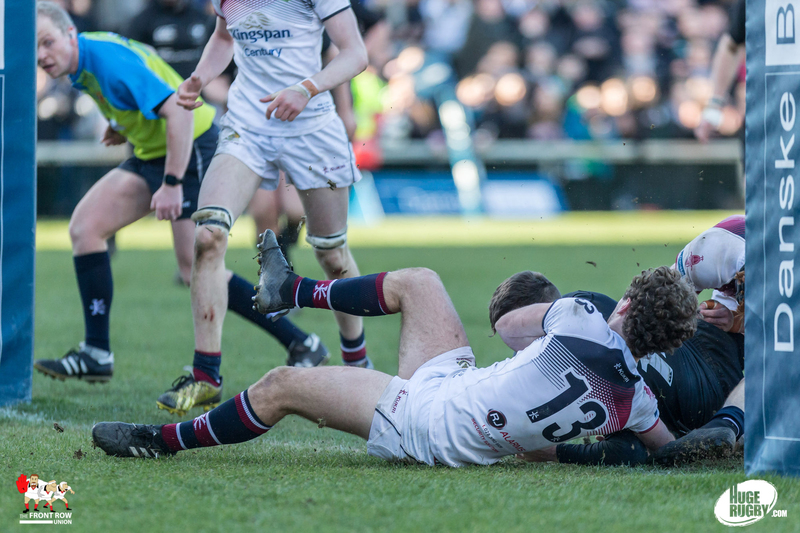 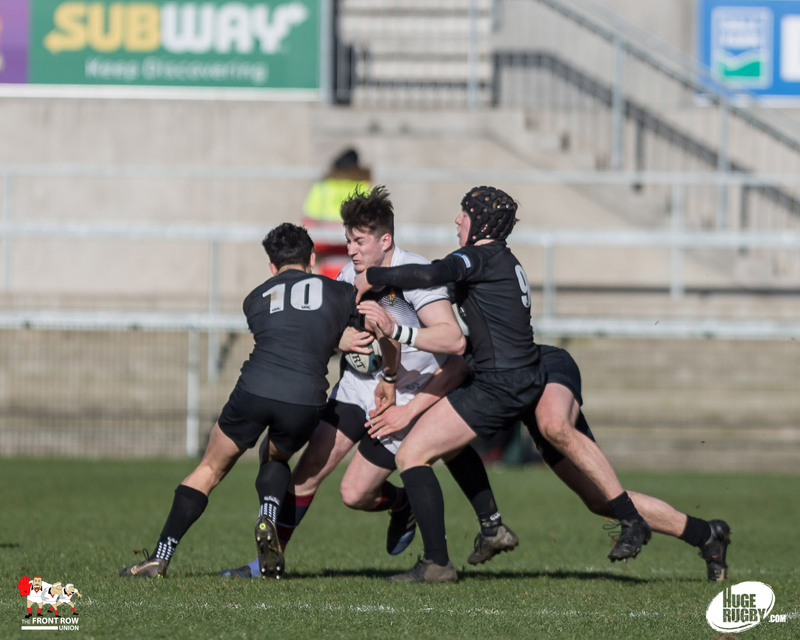 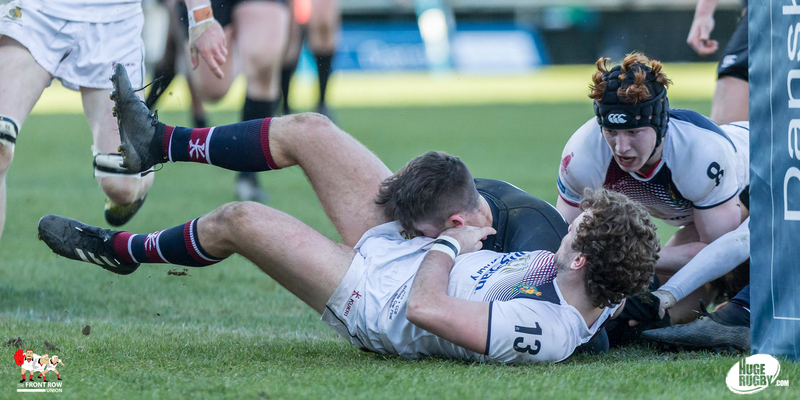 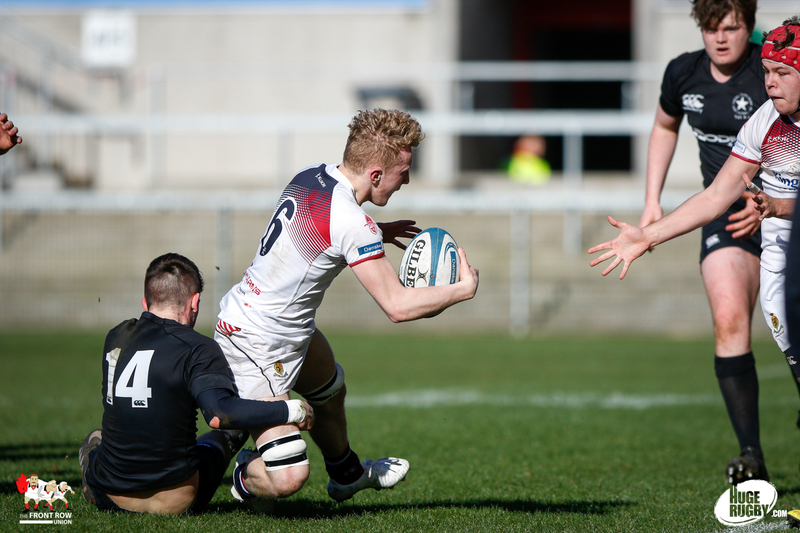 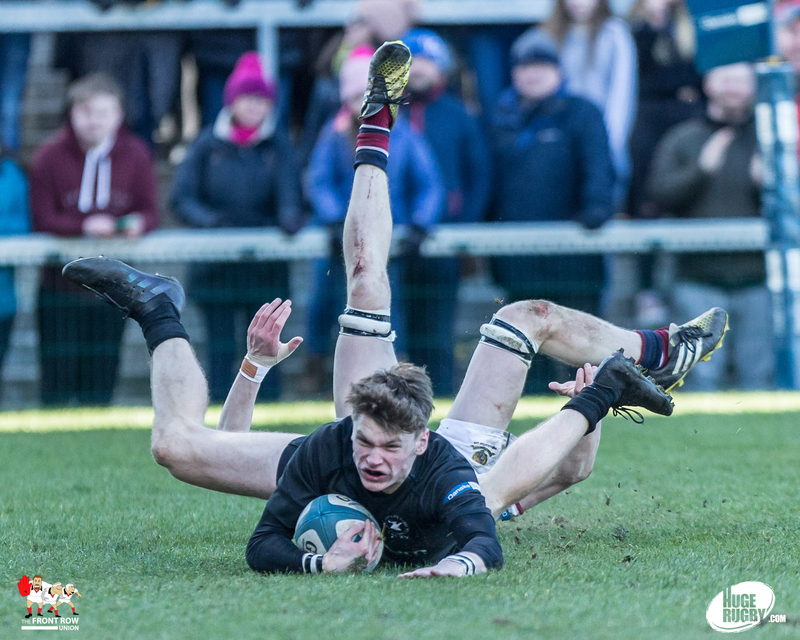 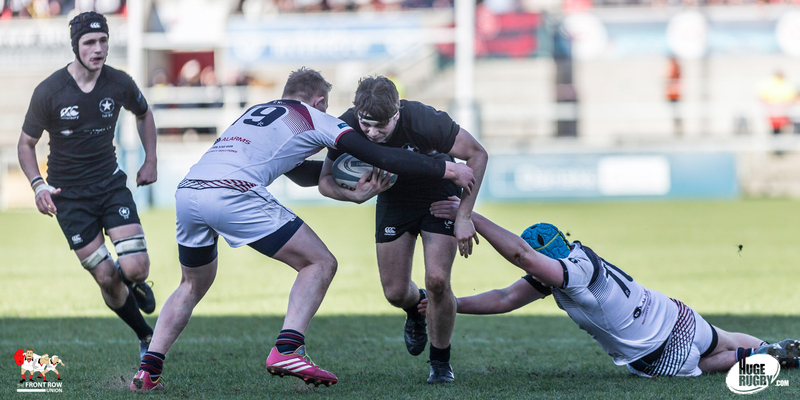 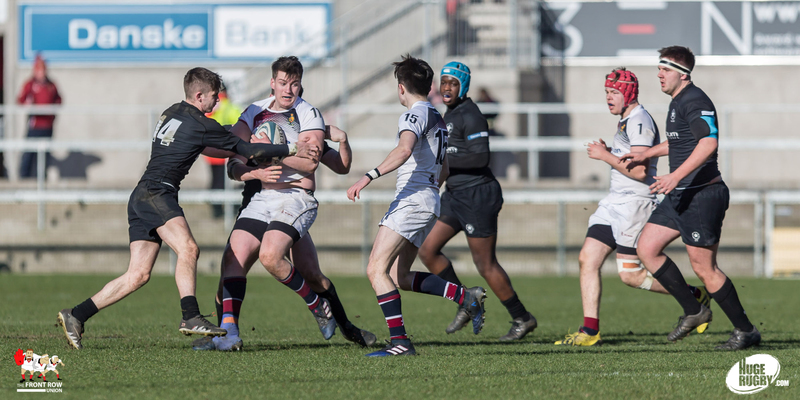 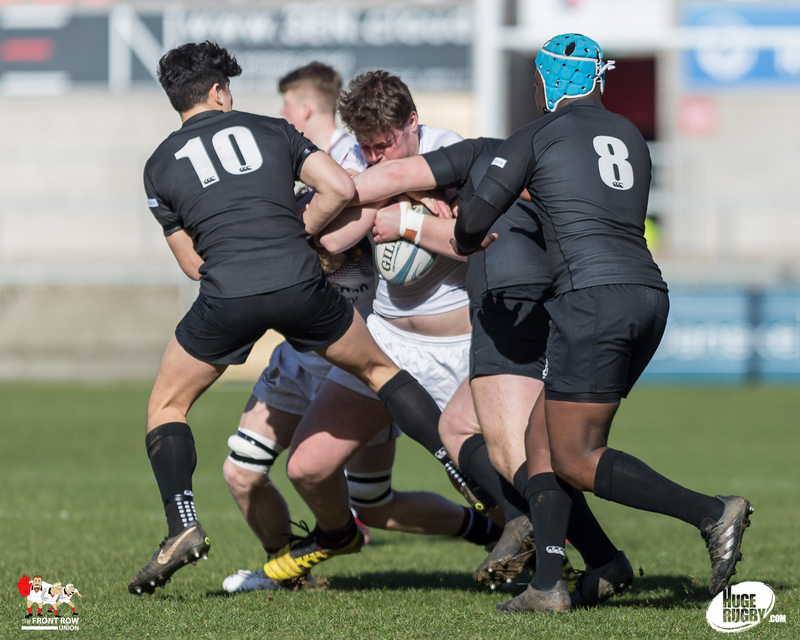 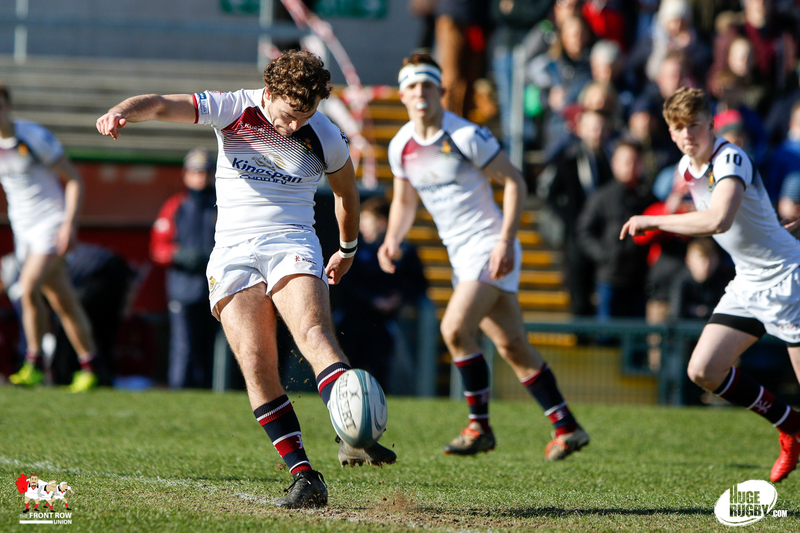 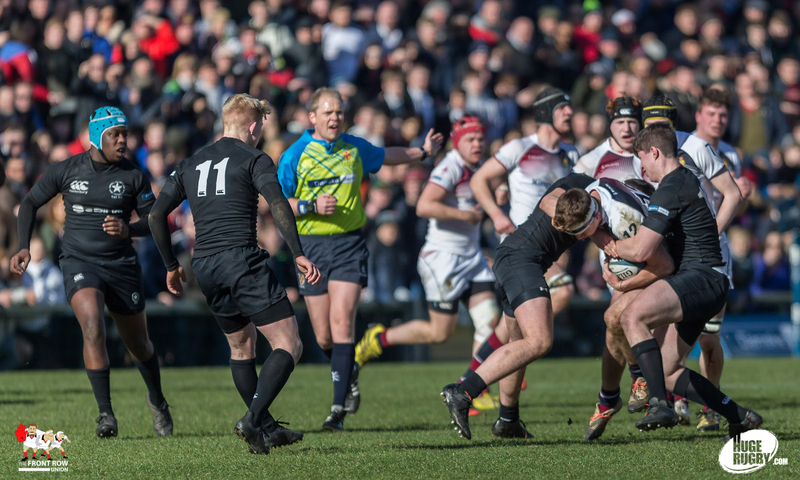 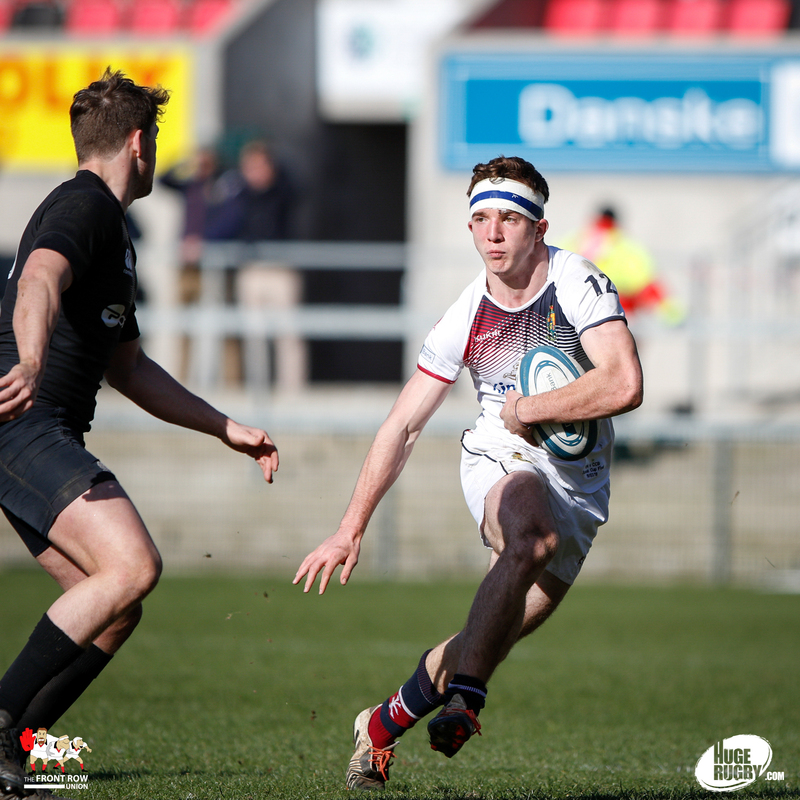 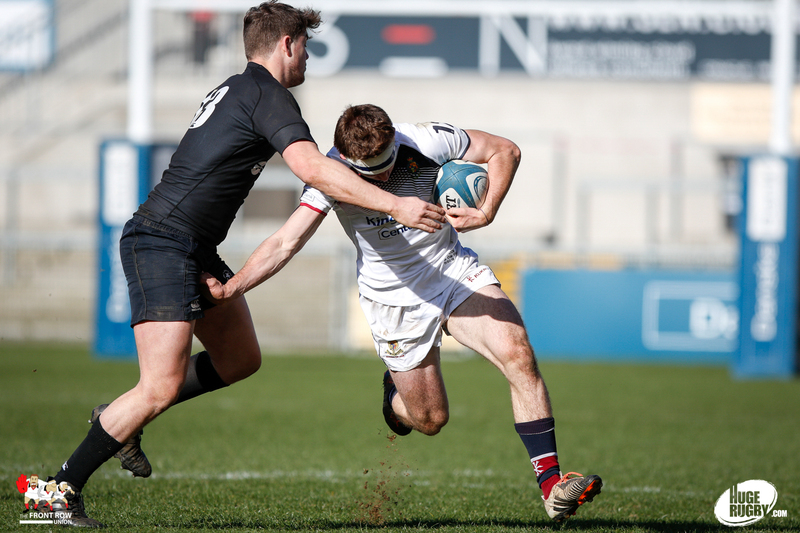 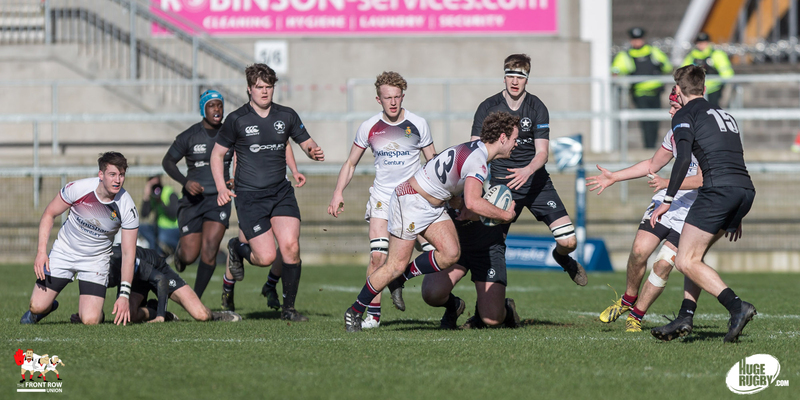 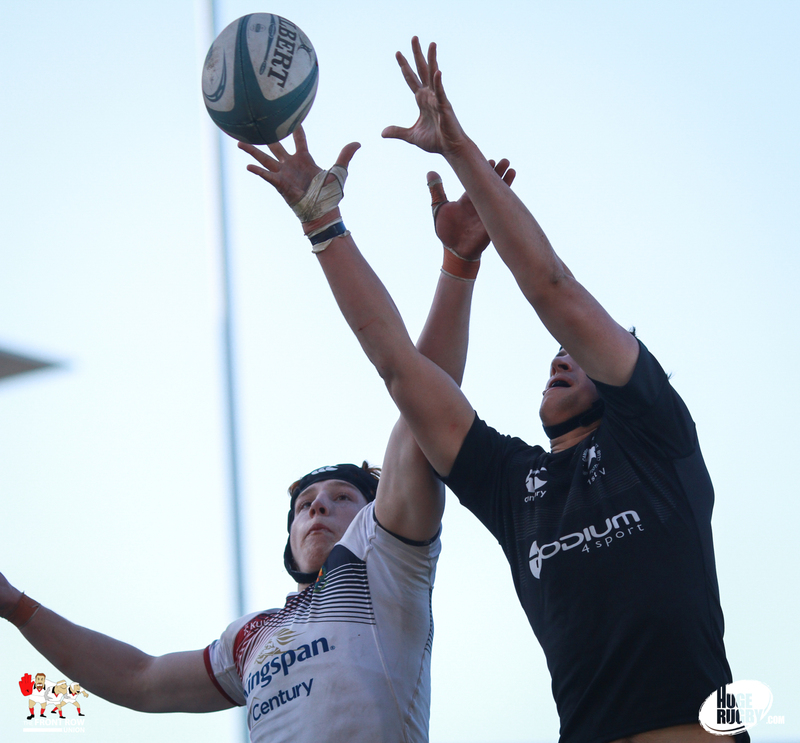 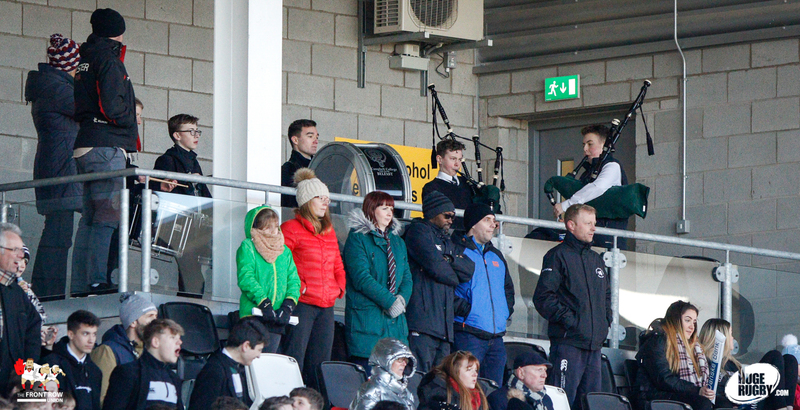 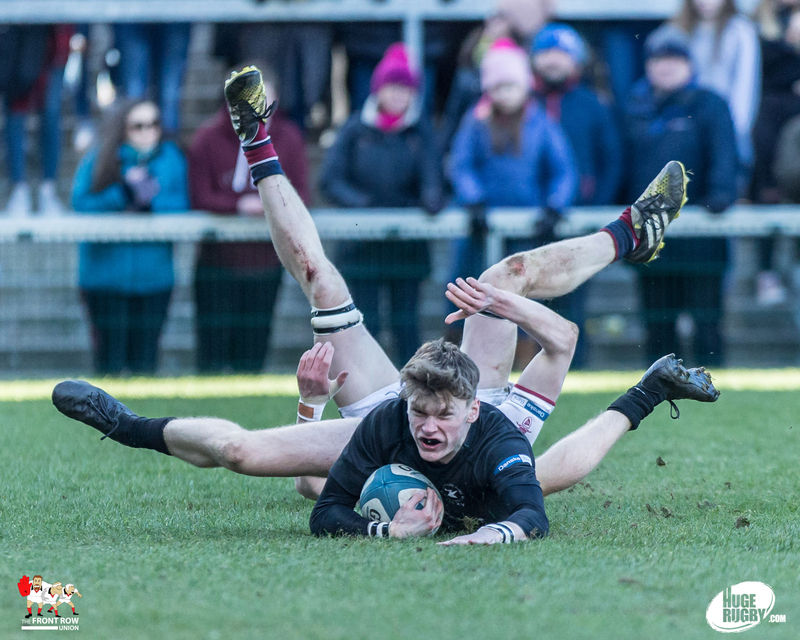 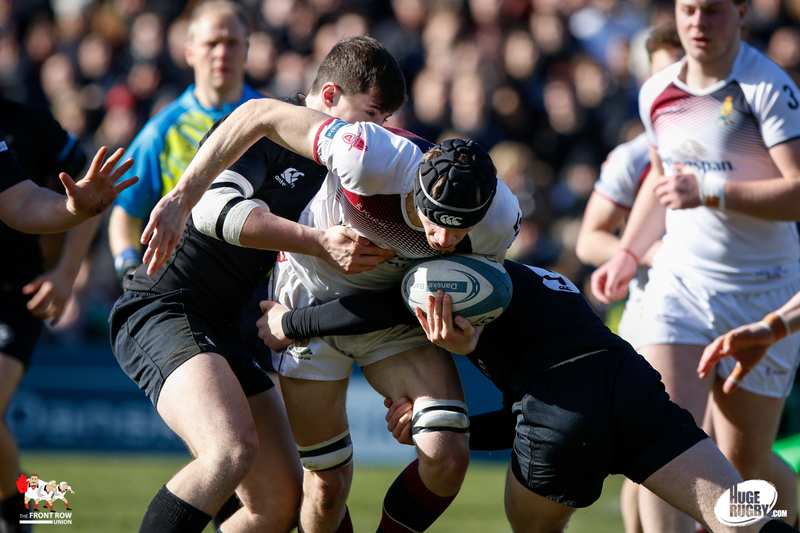 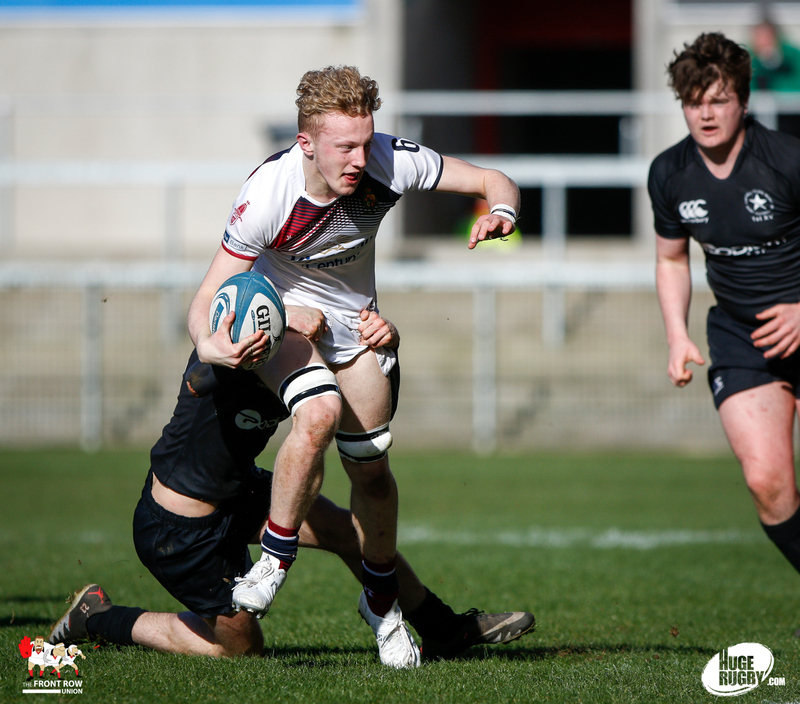 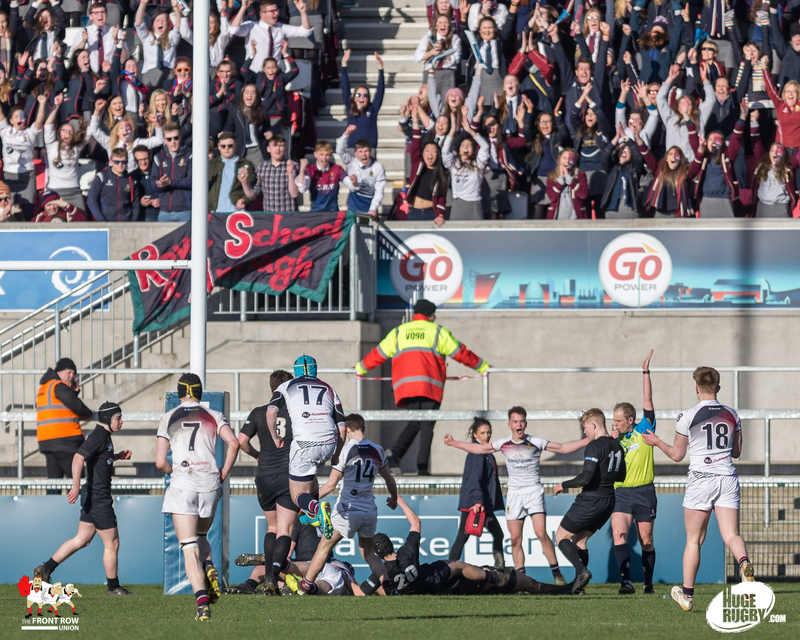 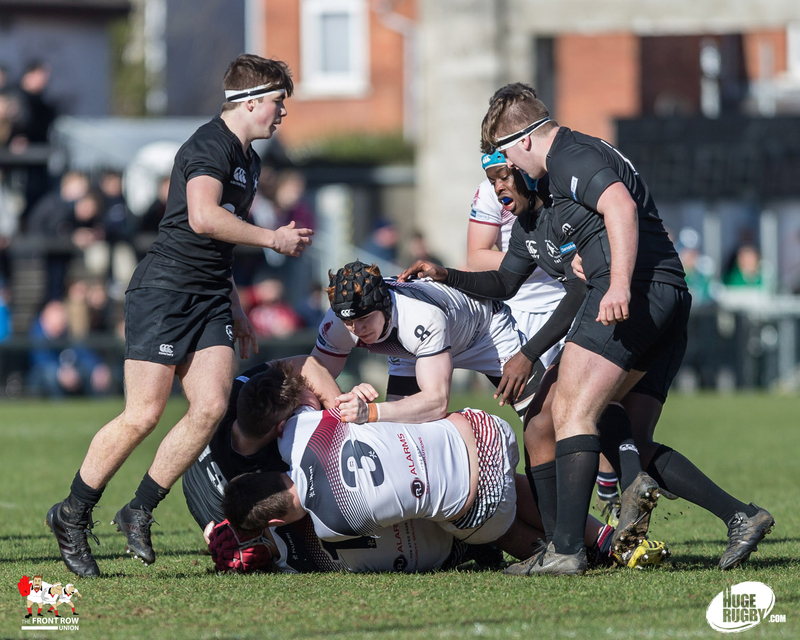 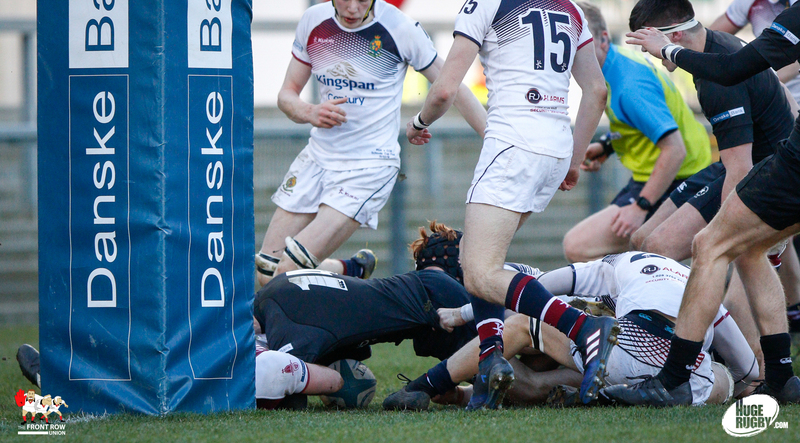 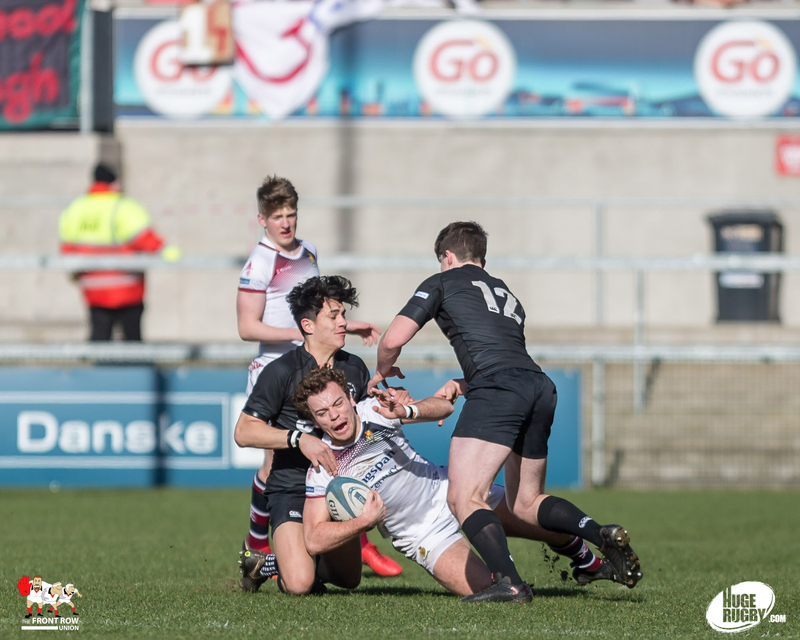 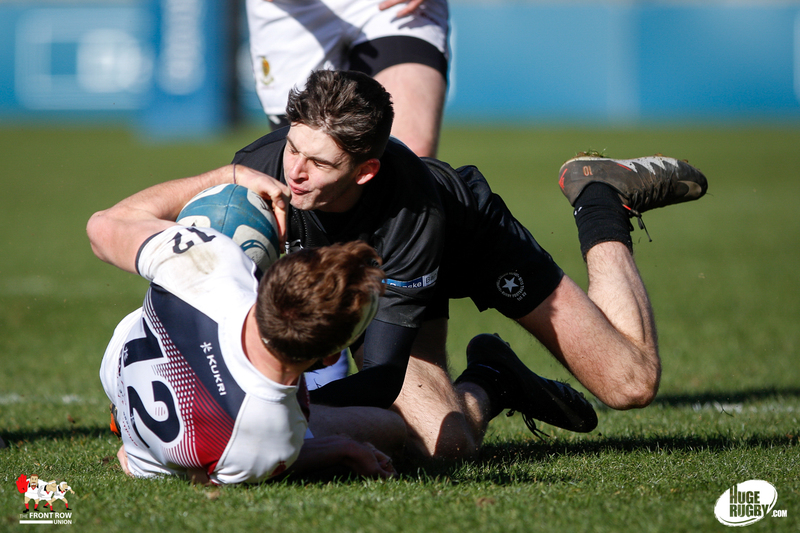 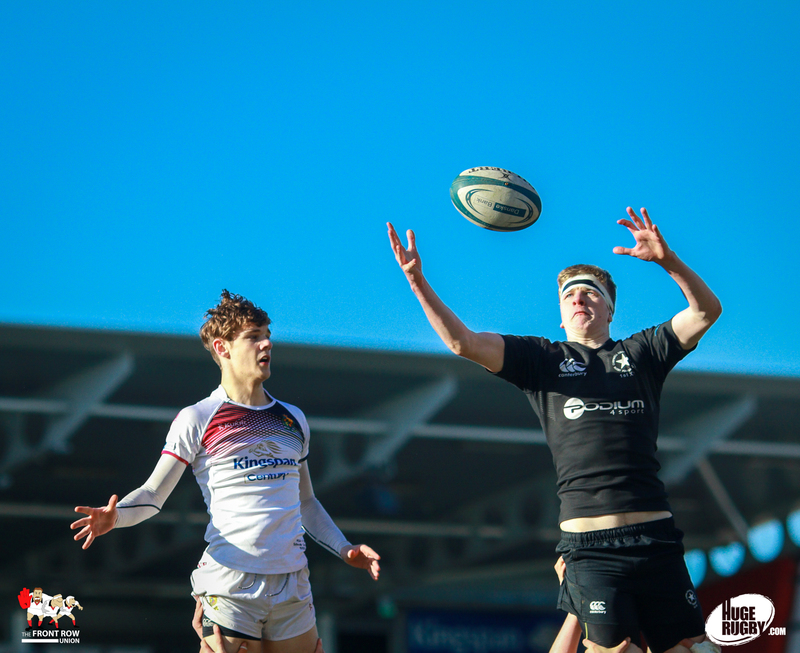 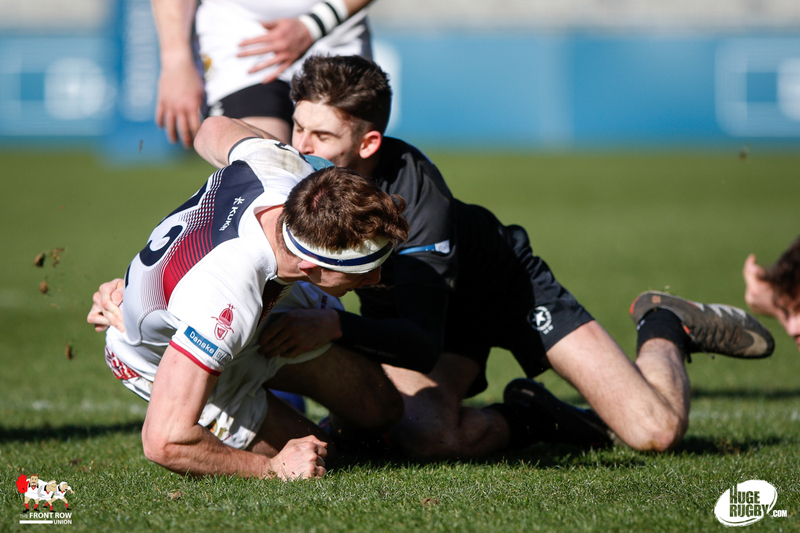 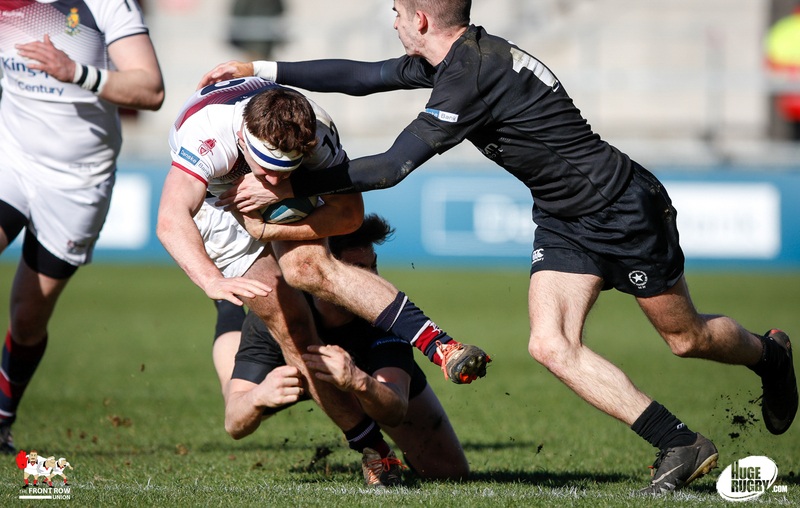 Armagh responded with a second Thompson penalty before Campbell winger Will Davis crashed over under the posts for his side’s third try, converted by Rankin, to give the College an unassailable 19 – 6 lead. . 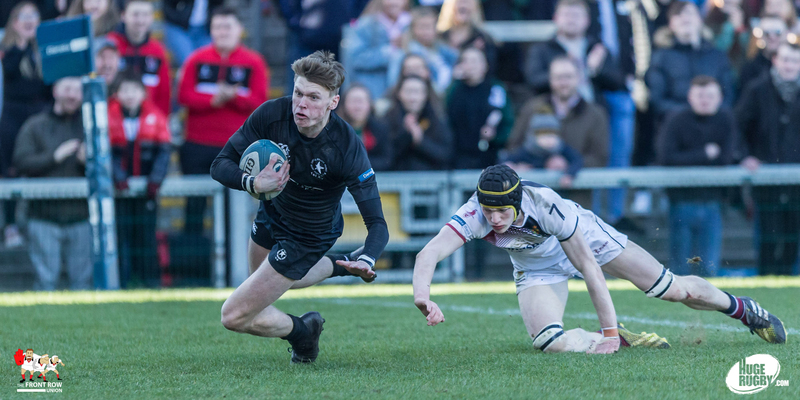 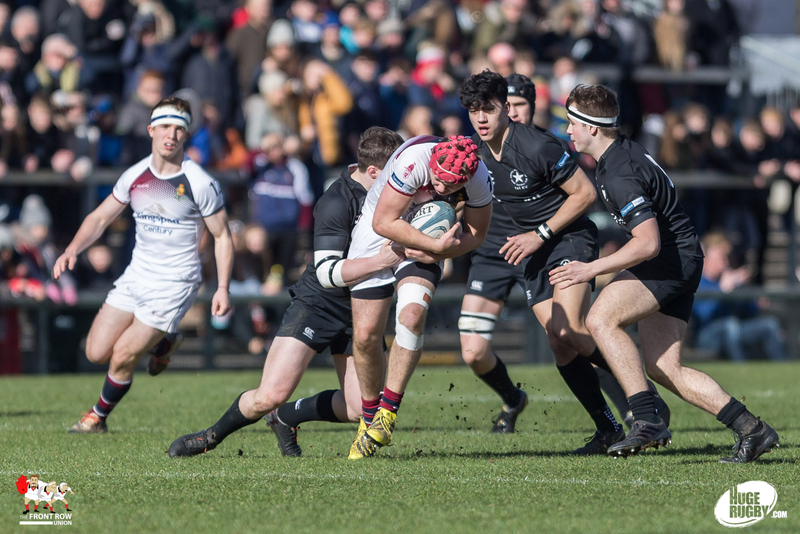 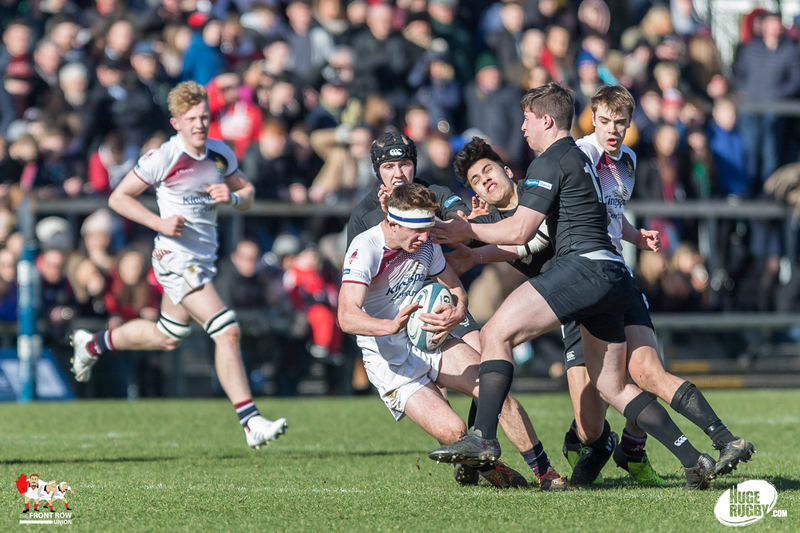 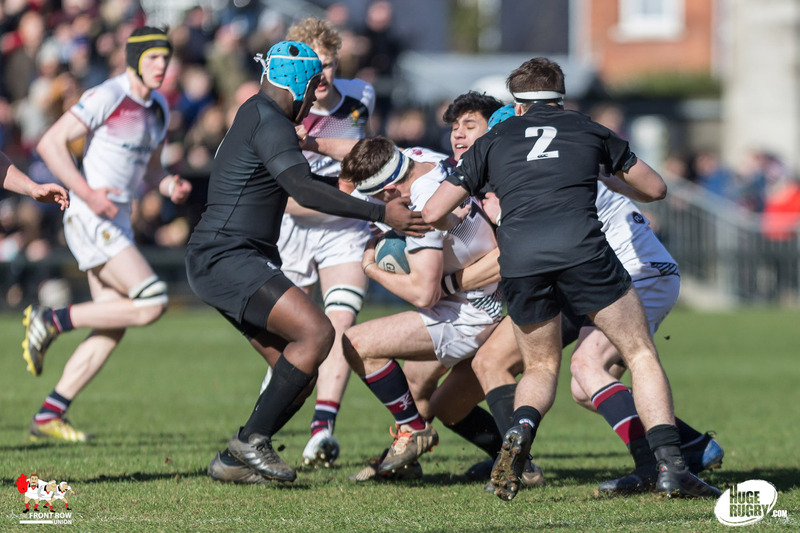 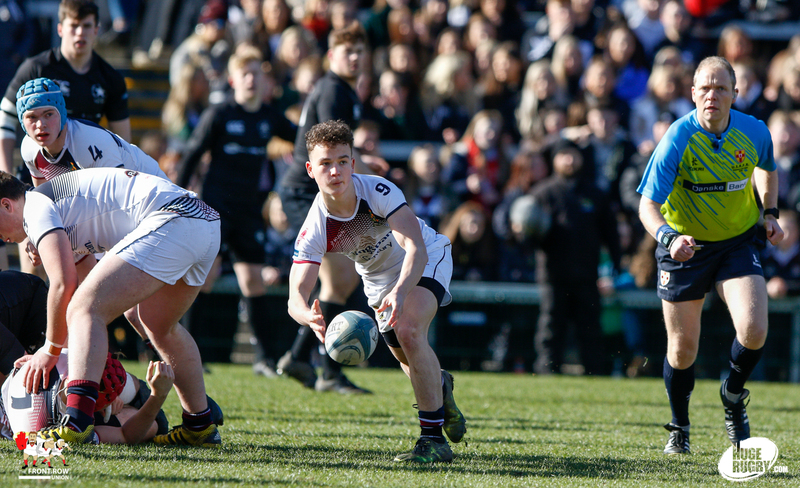 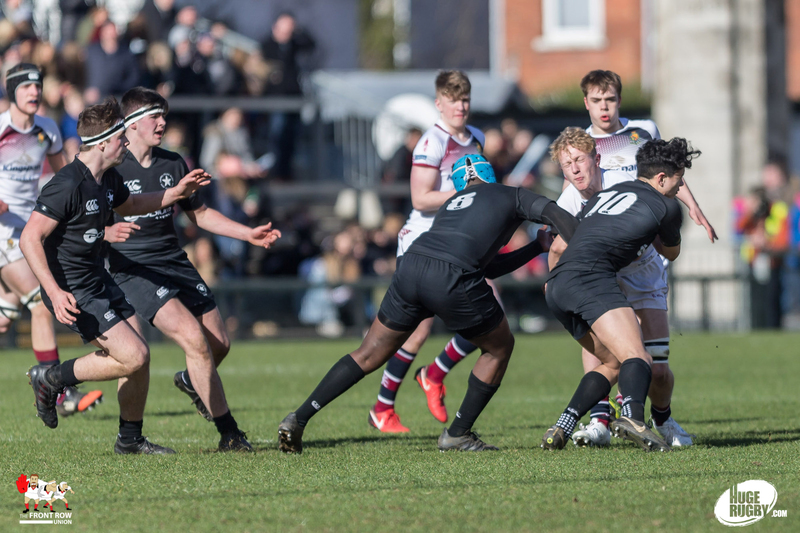 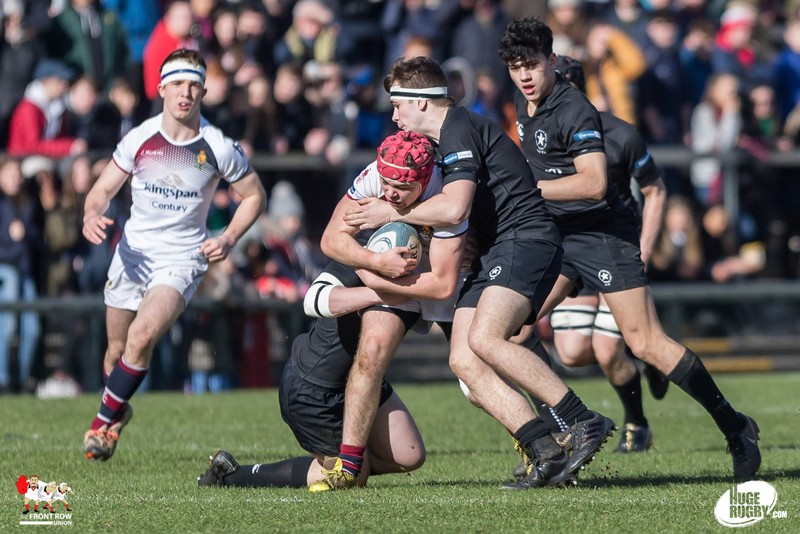 The Royal School finally got just rewards for their efforts when Ben Lafery cut inside to score close to the posts in the final minutes of the match. 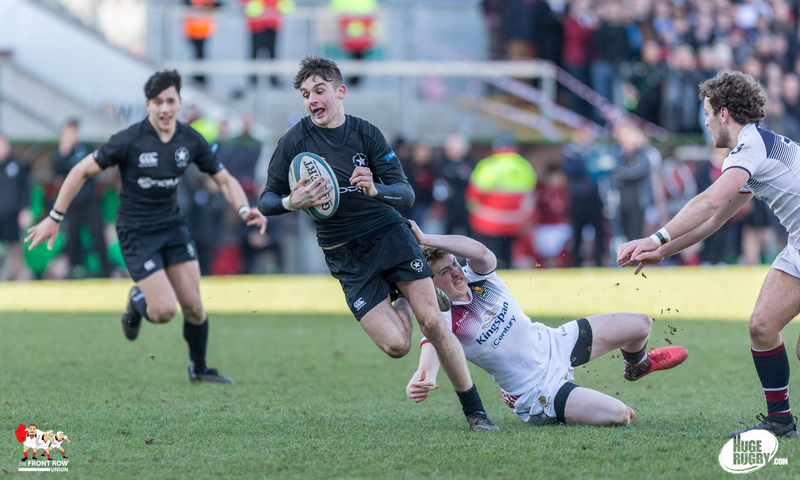 Thompson completed the scoring for the afternoon with the conversion to take the final score to Campbell College 19 Royal School Armagh 13.